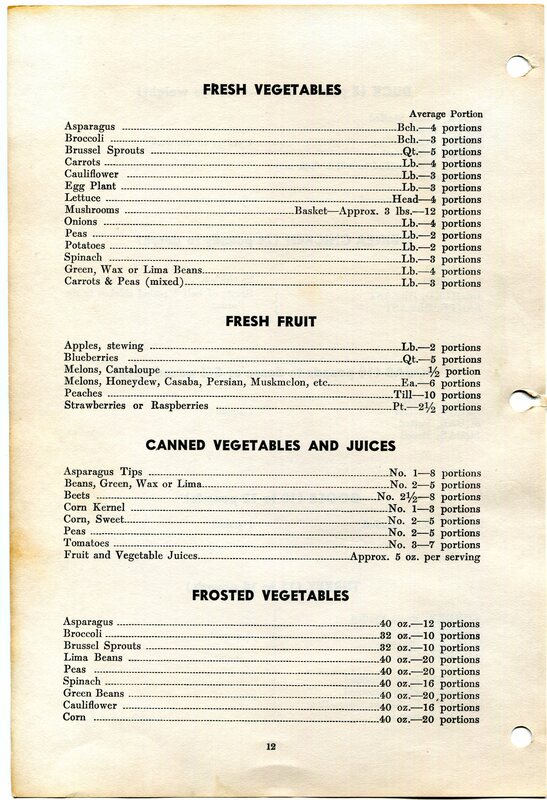 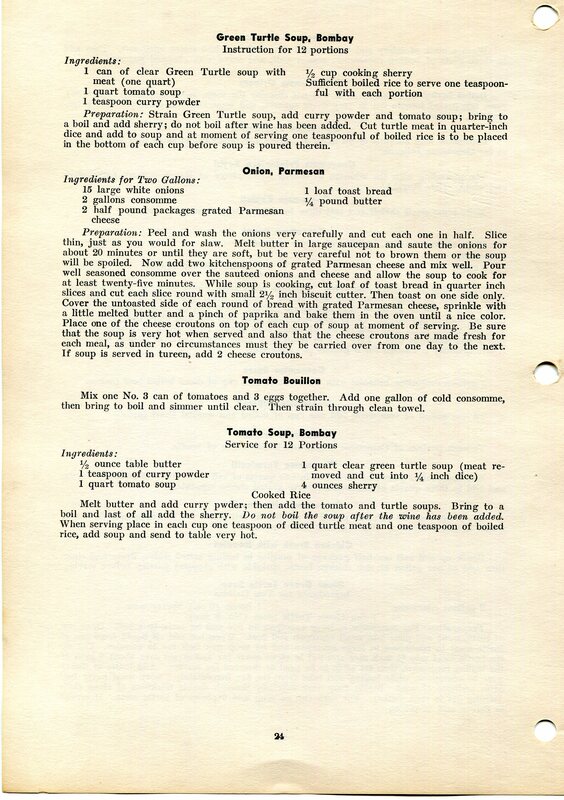 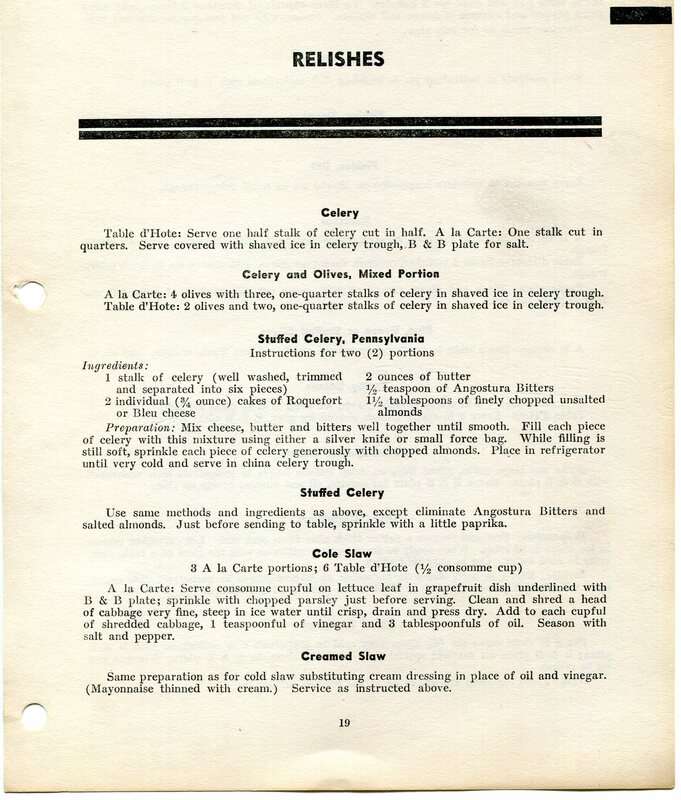 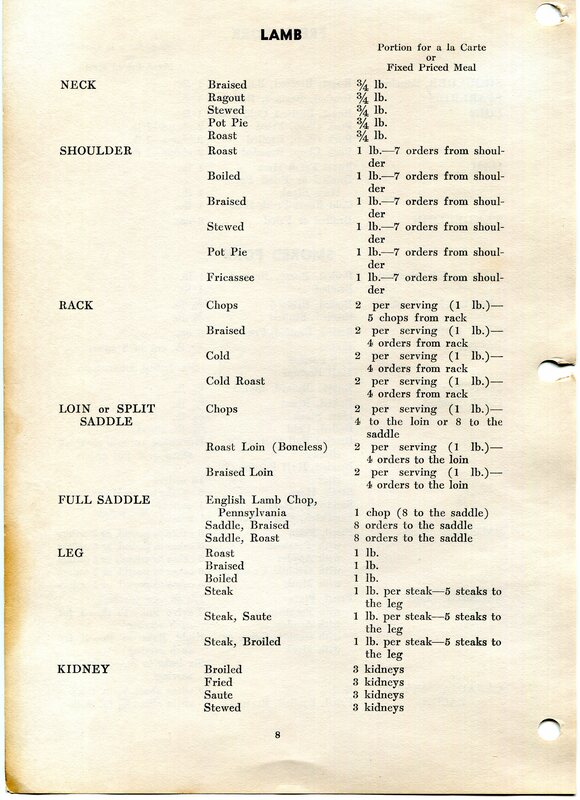 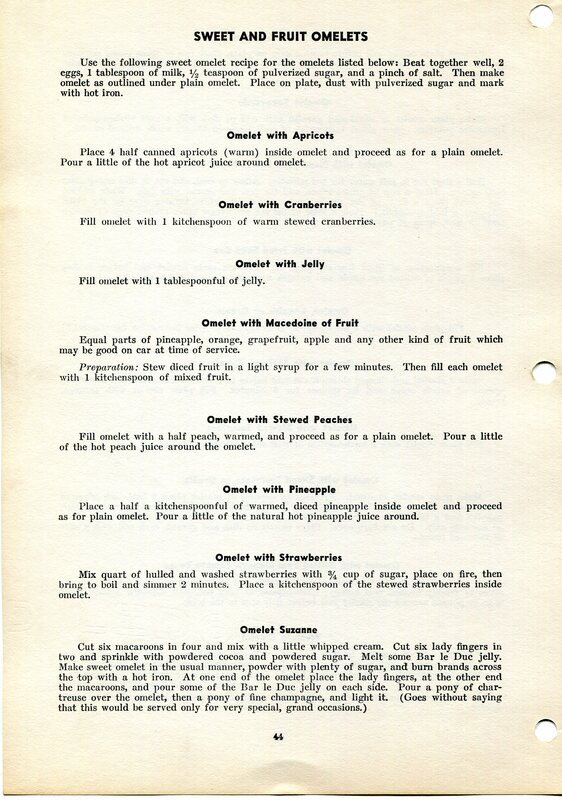 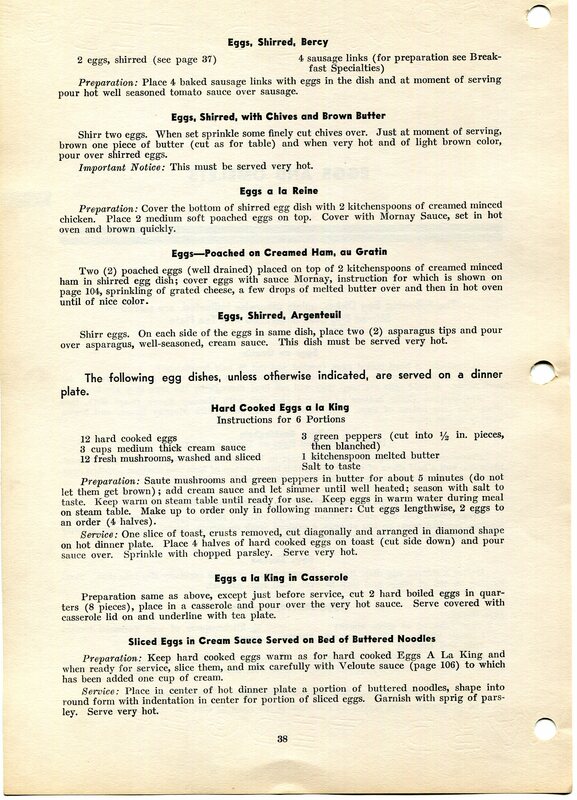 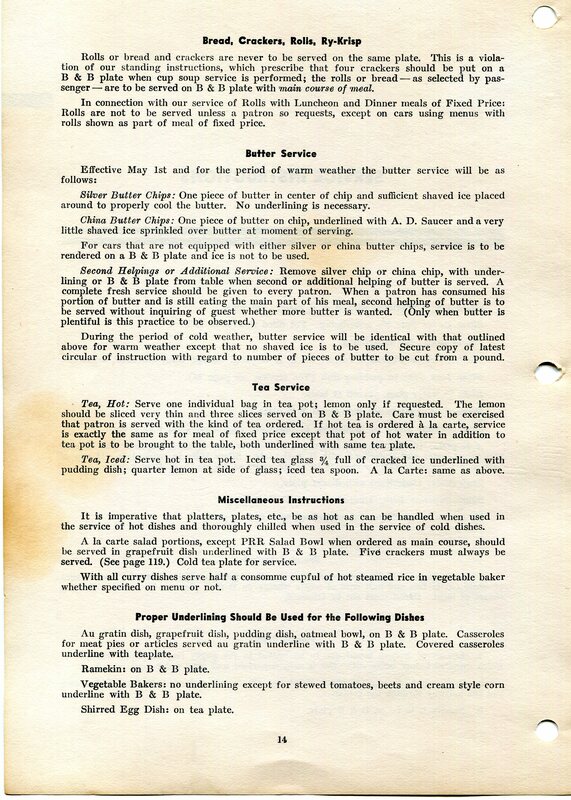 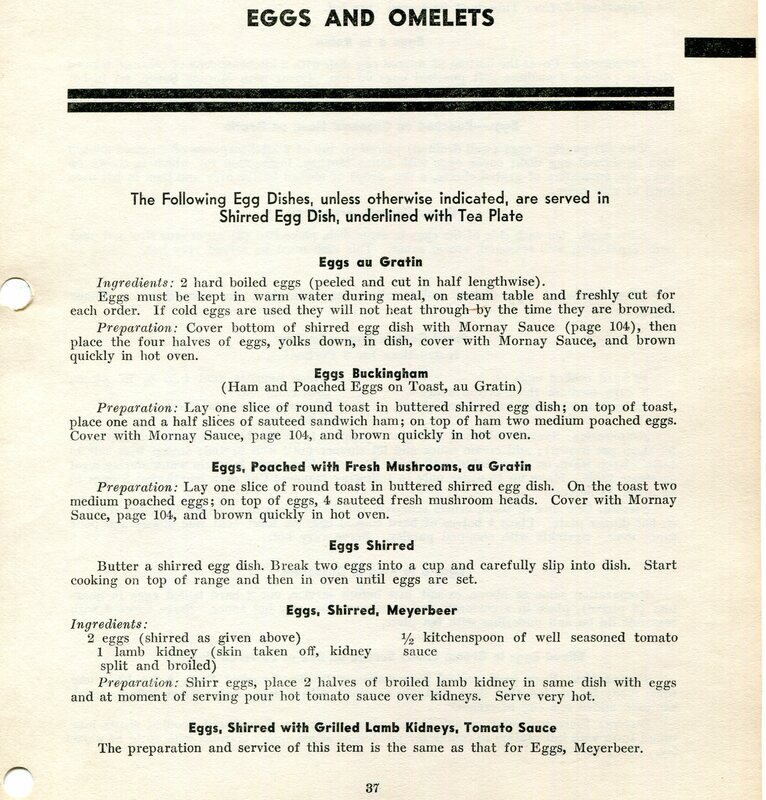 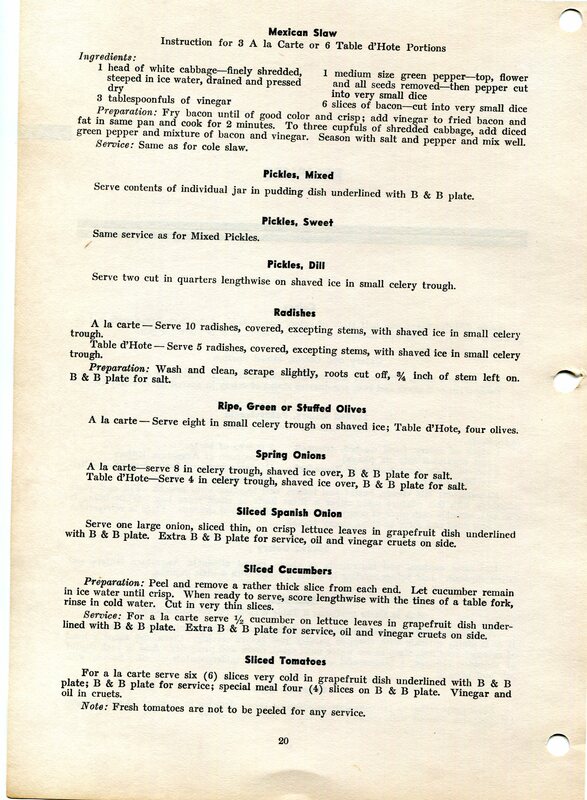 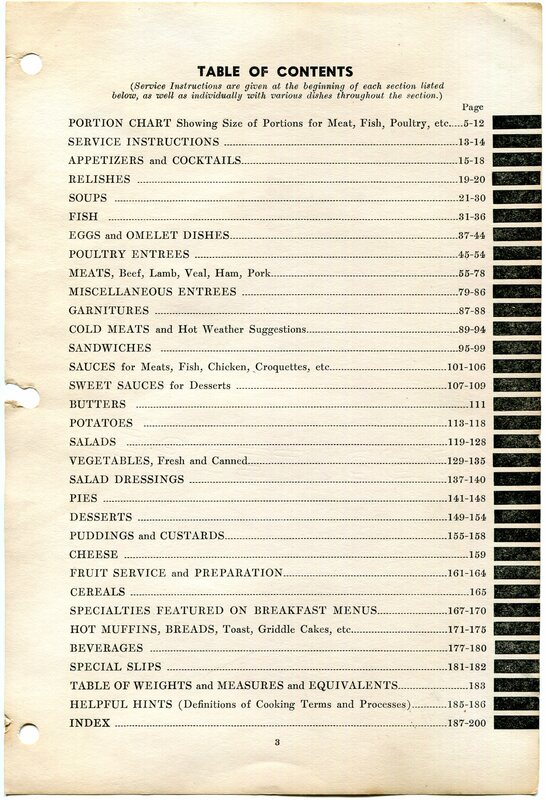 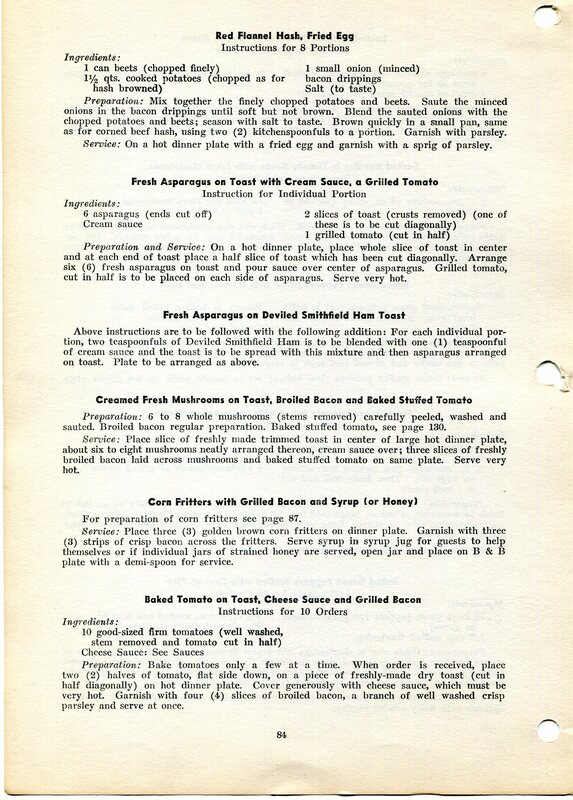 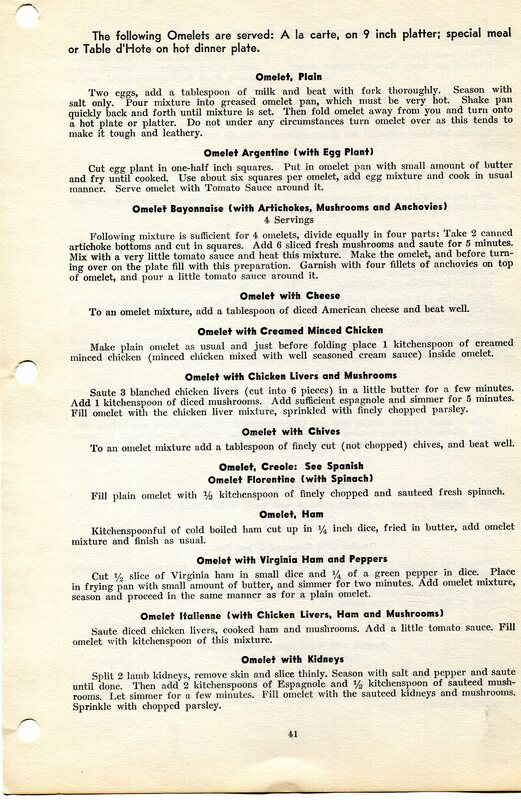 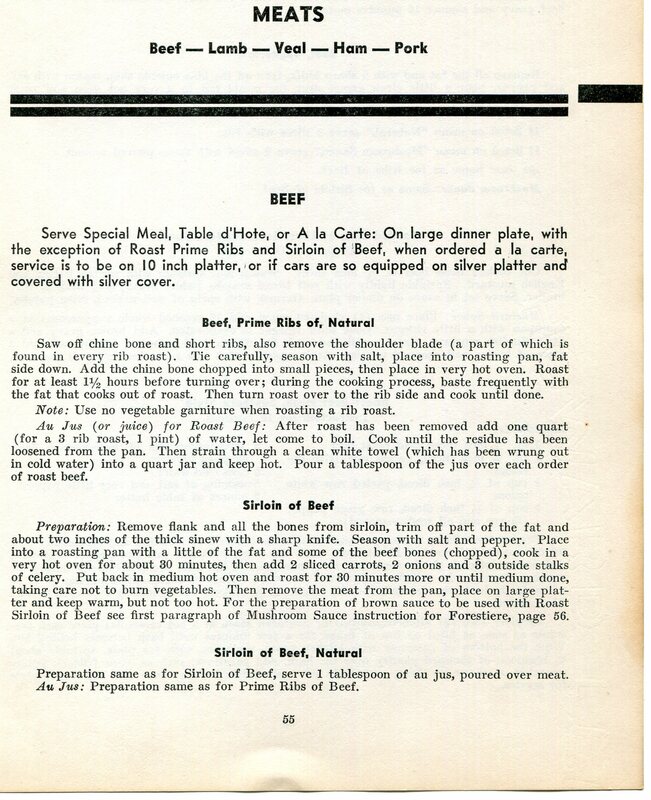 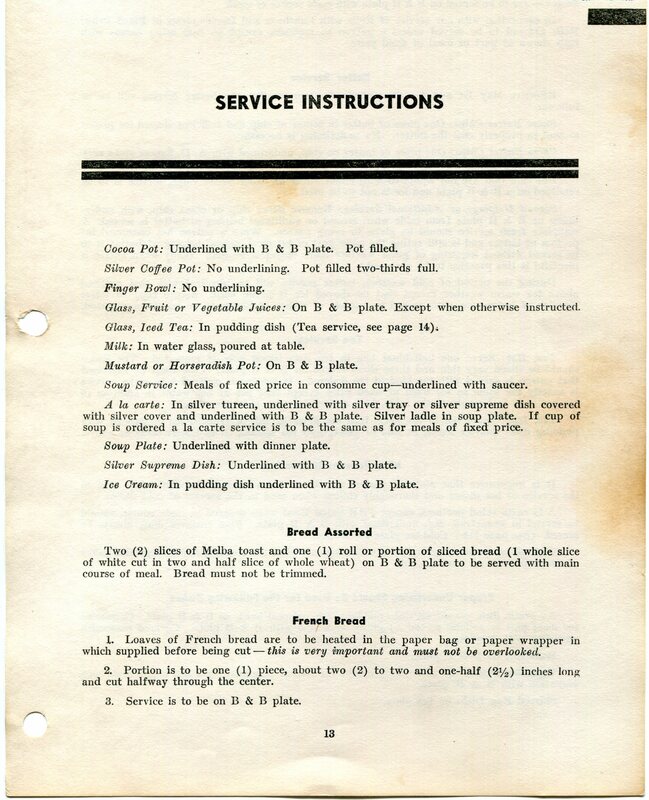 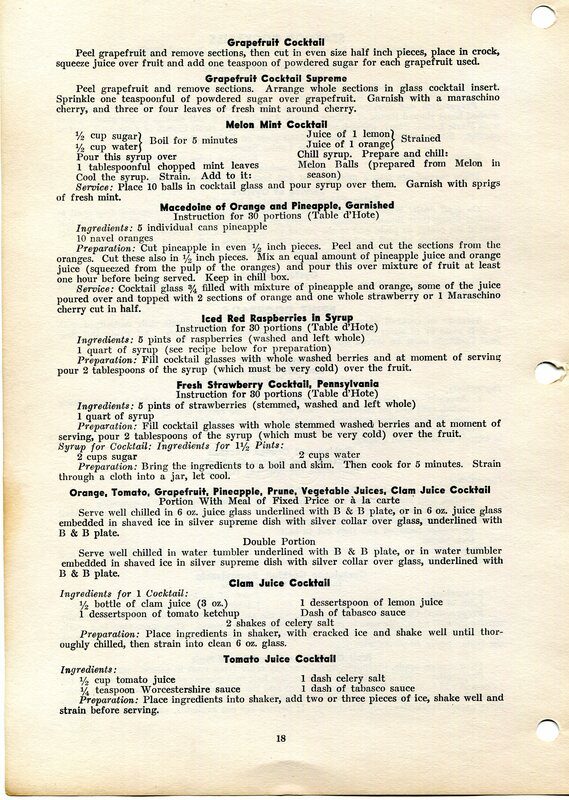 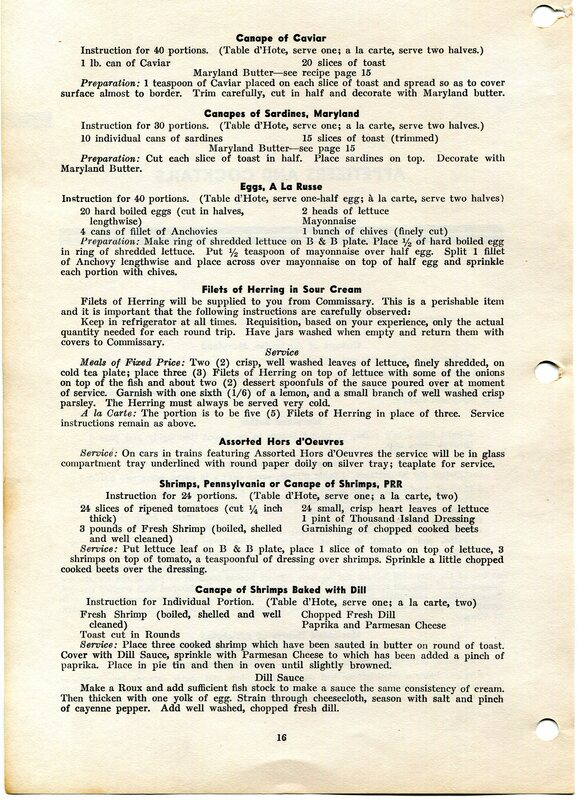 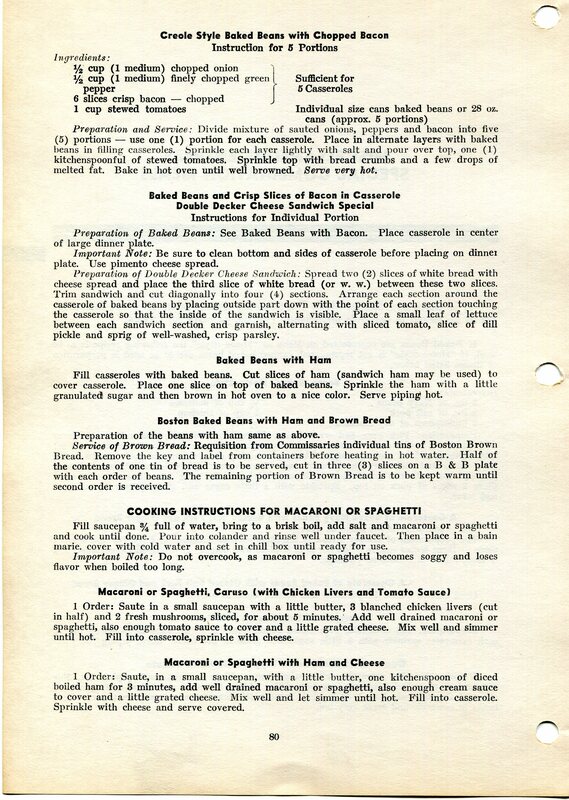 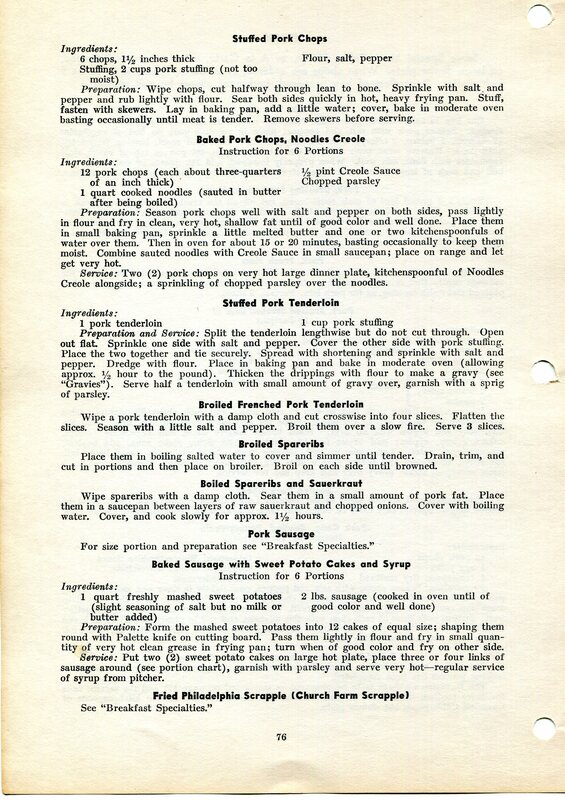 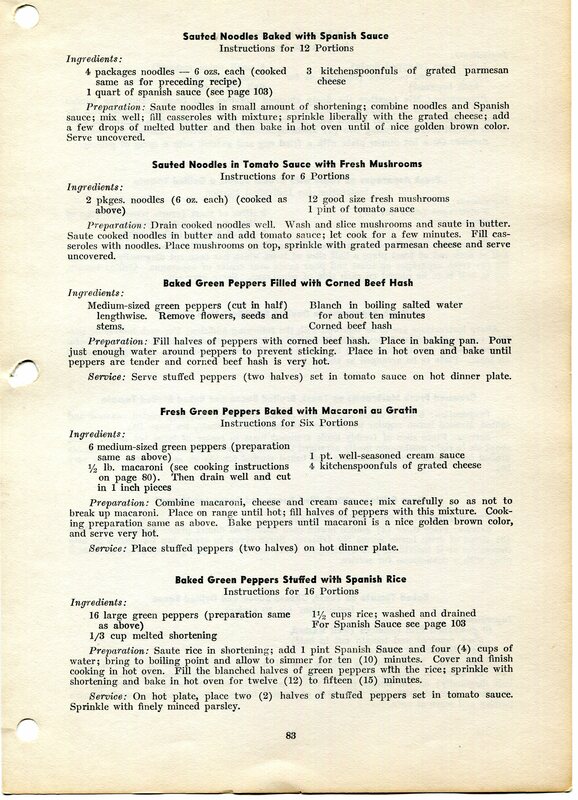 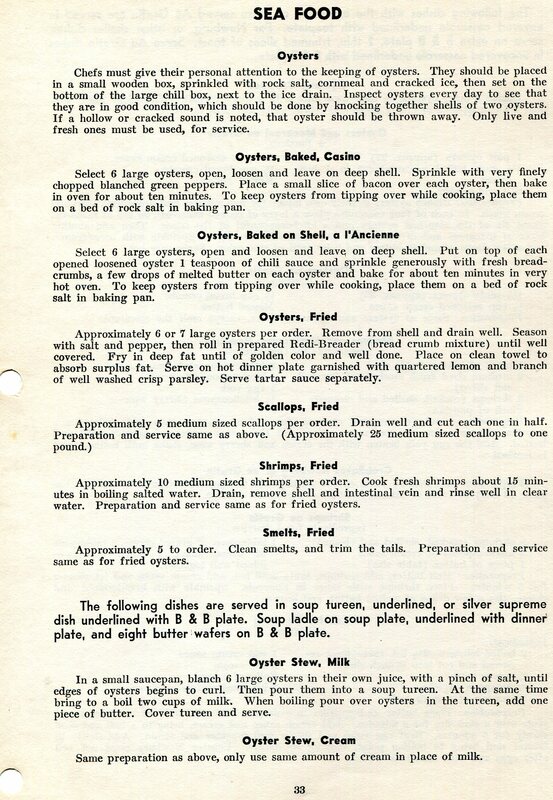 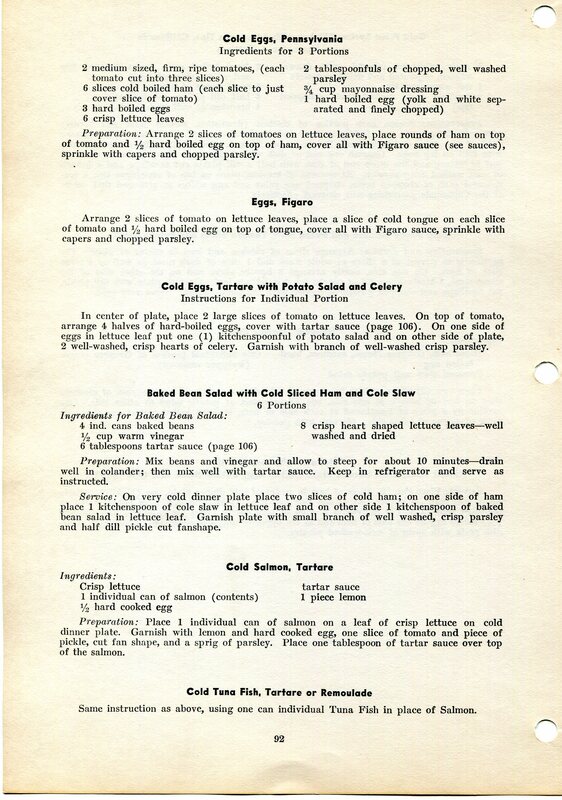 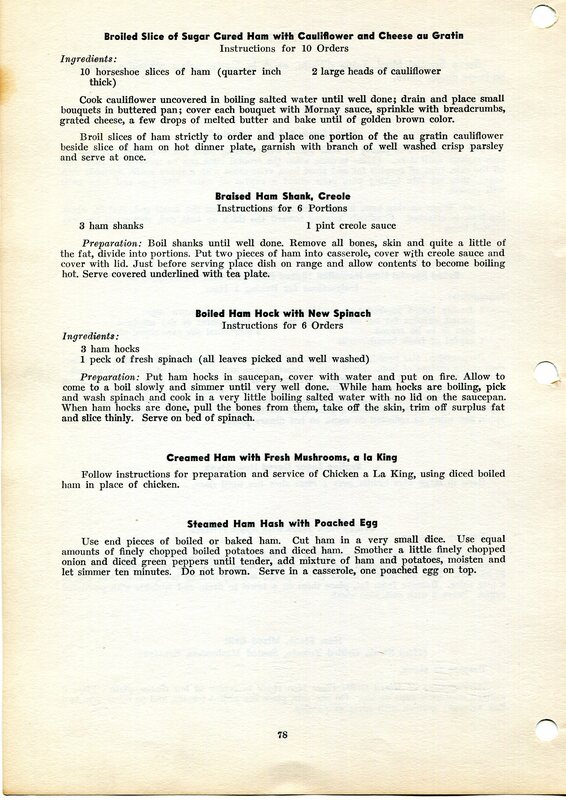 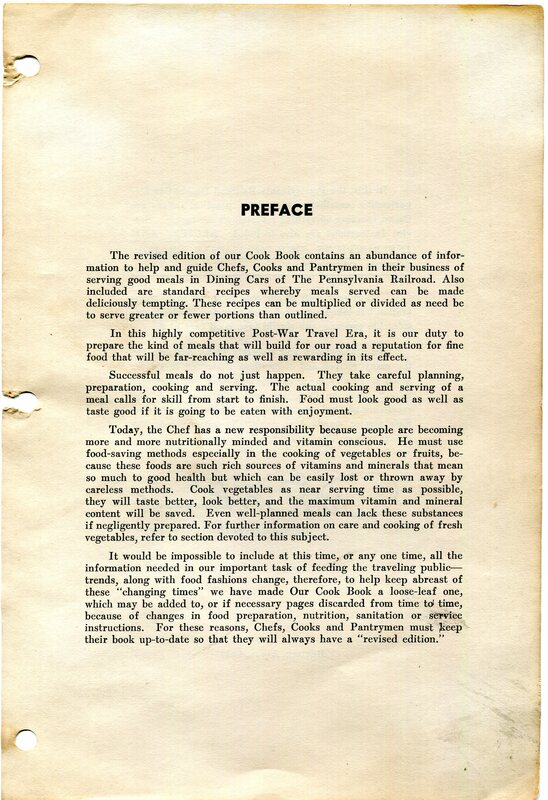 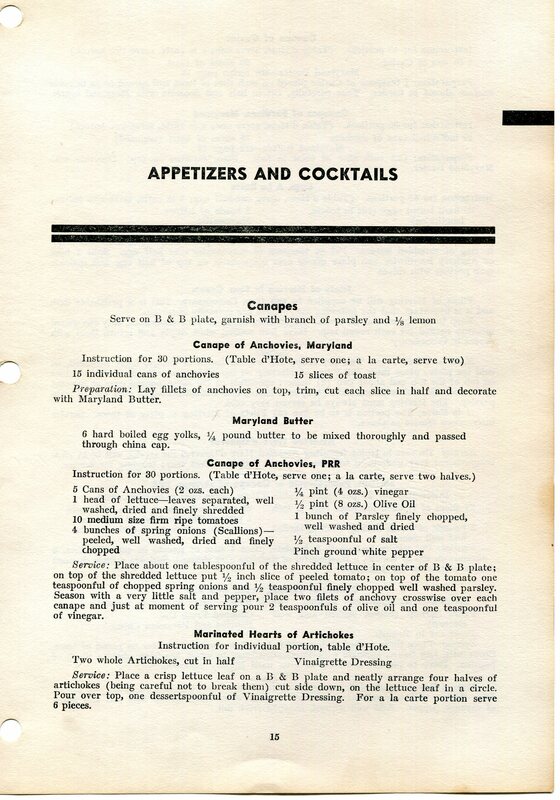 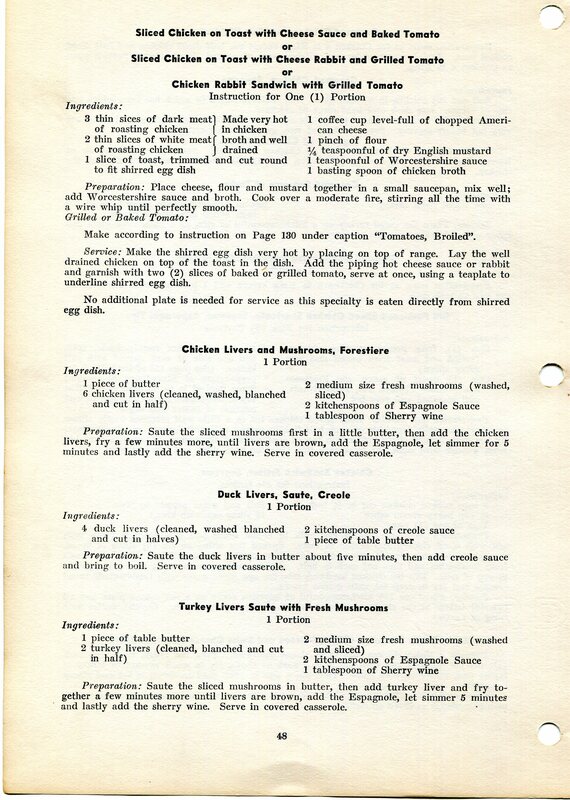 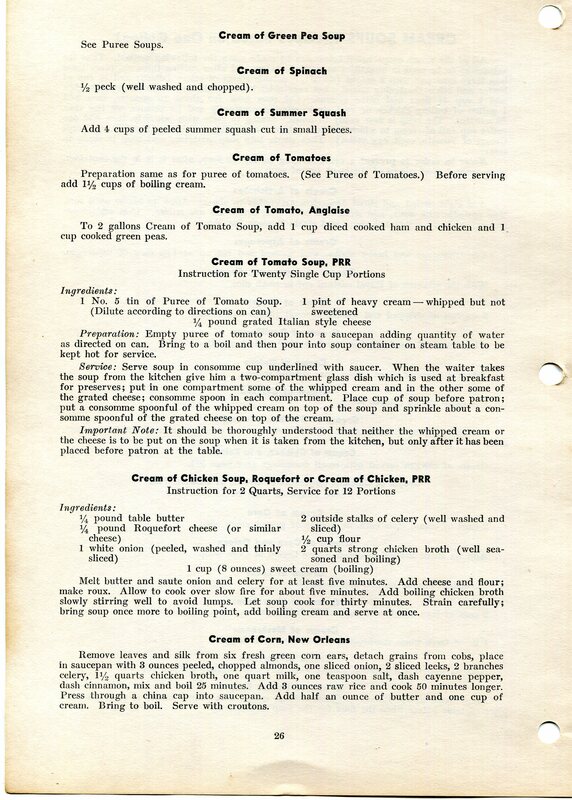 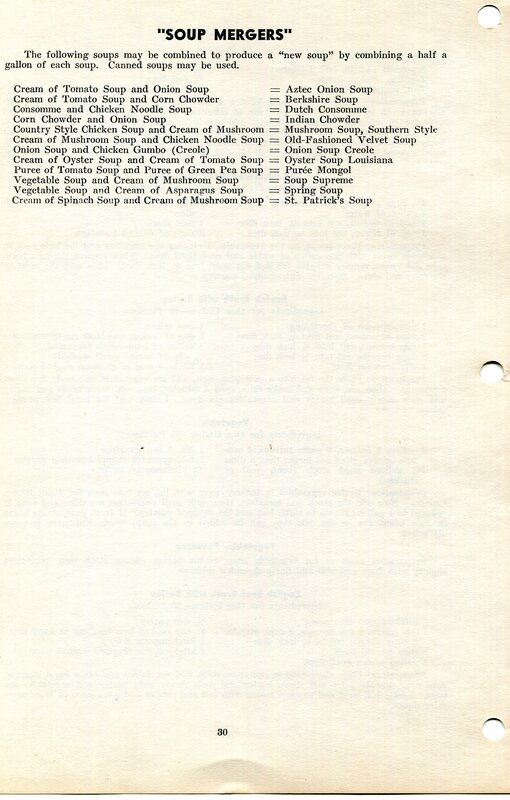 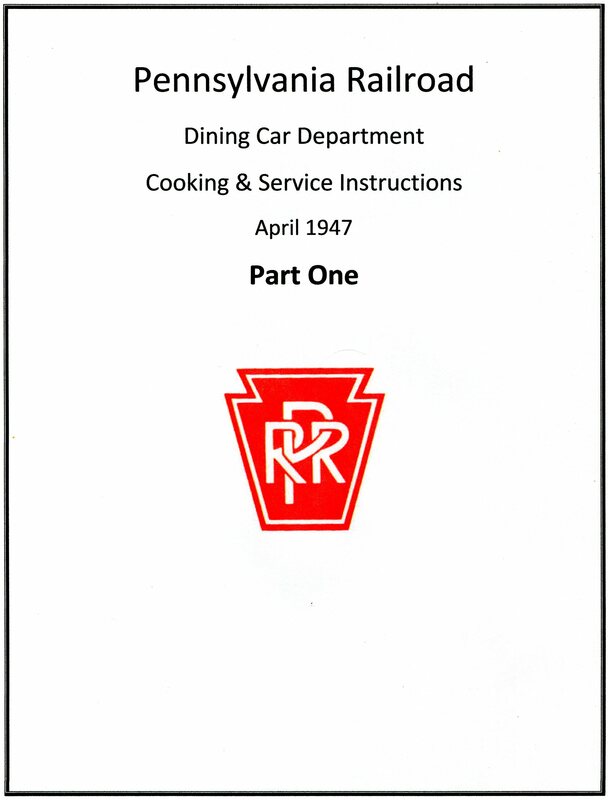 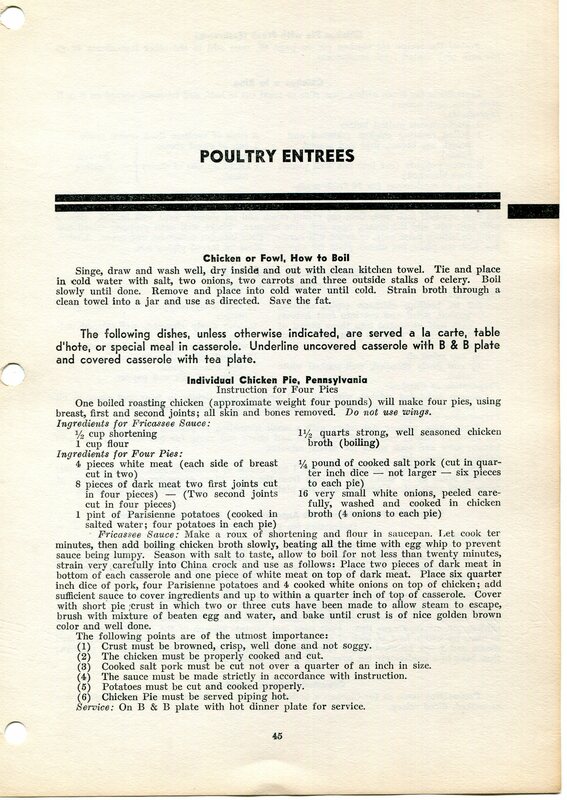 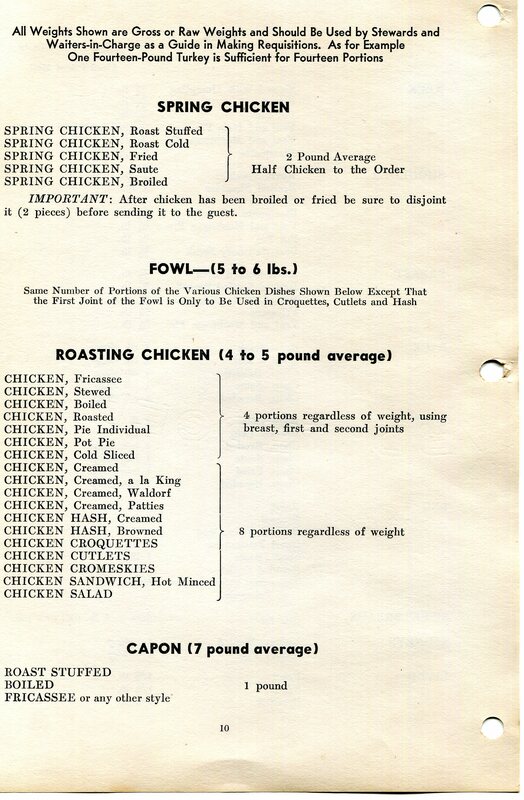 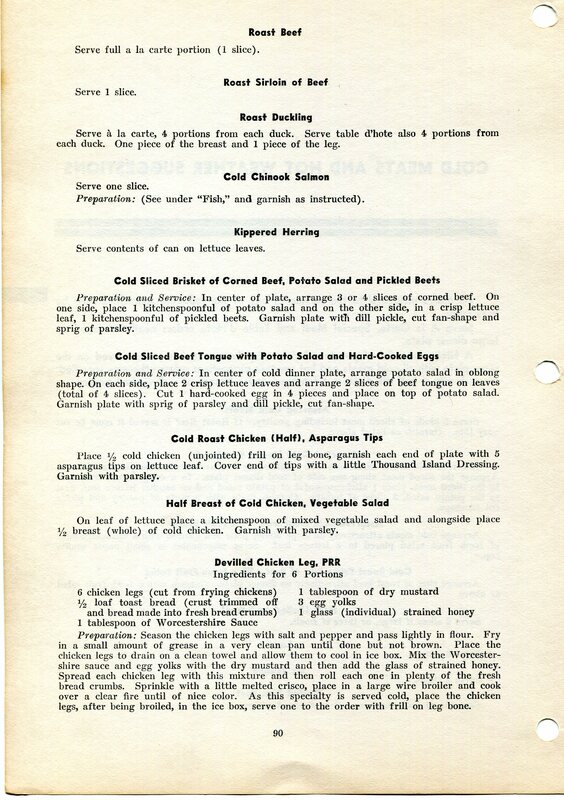 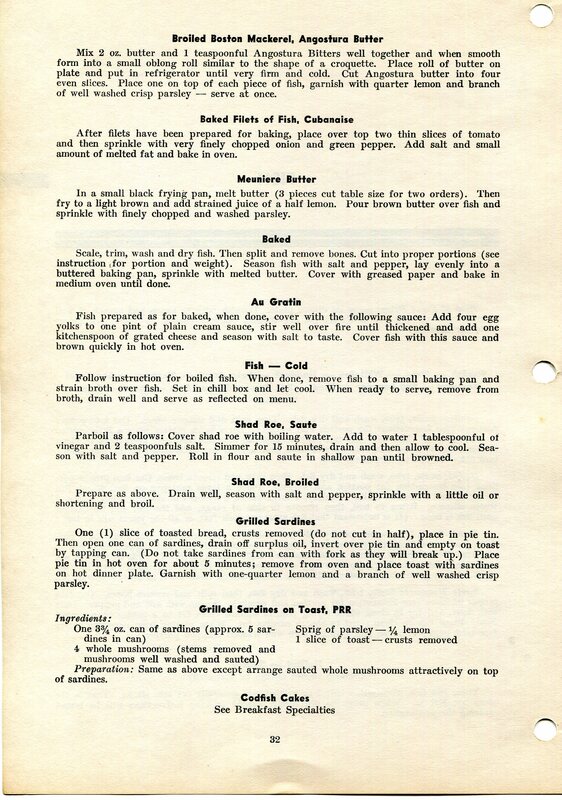 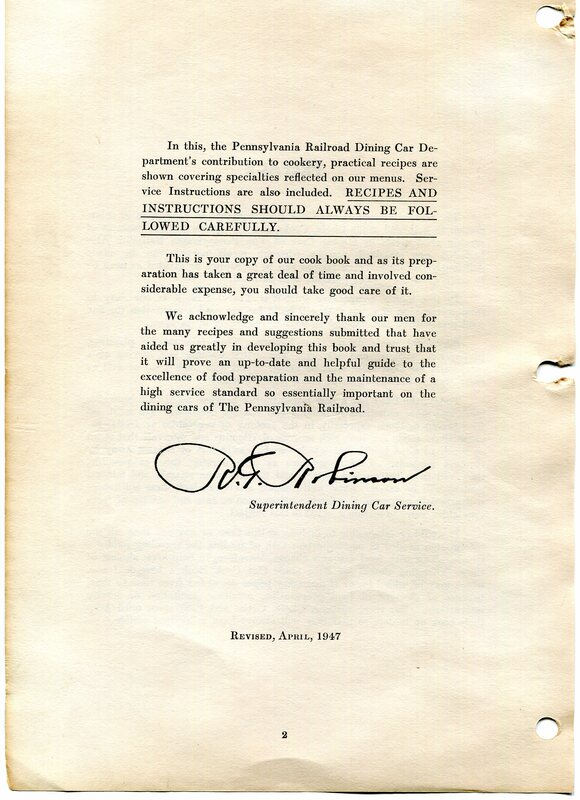 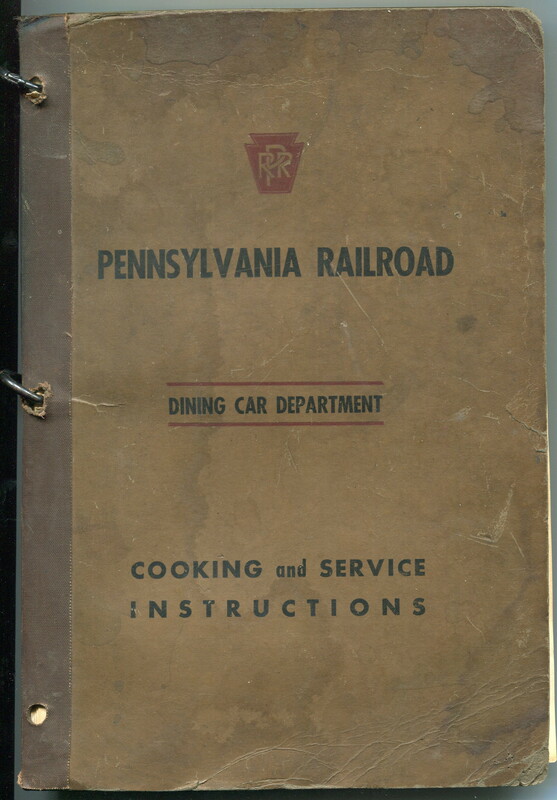 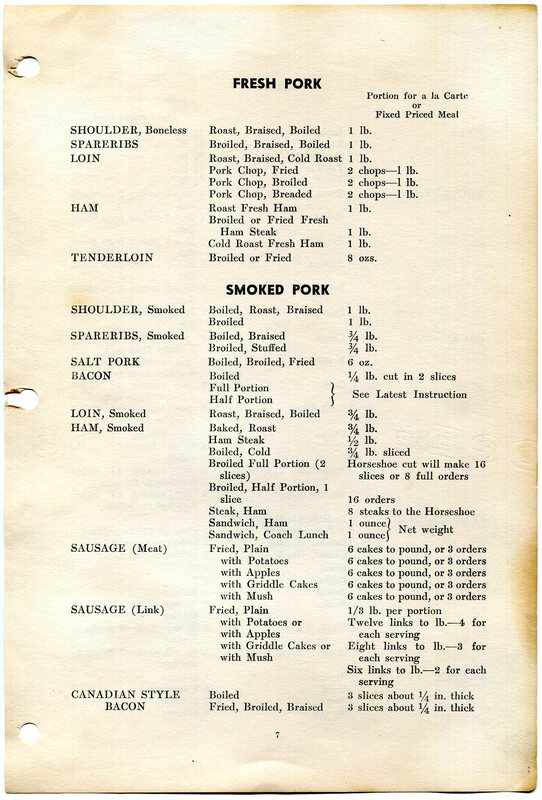 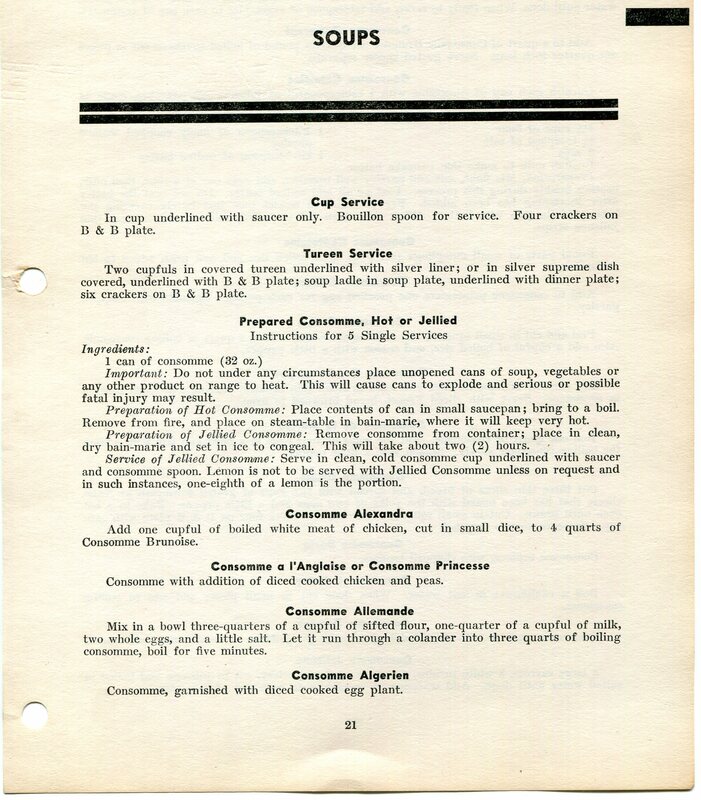 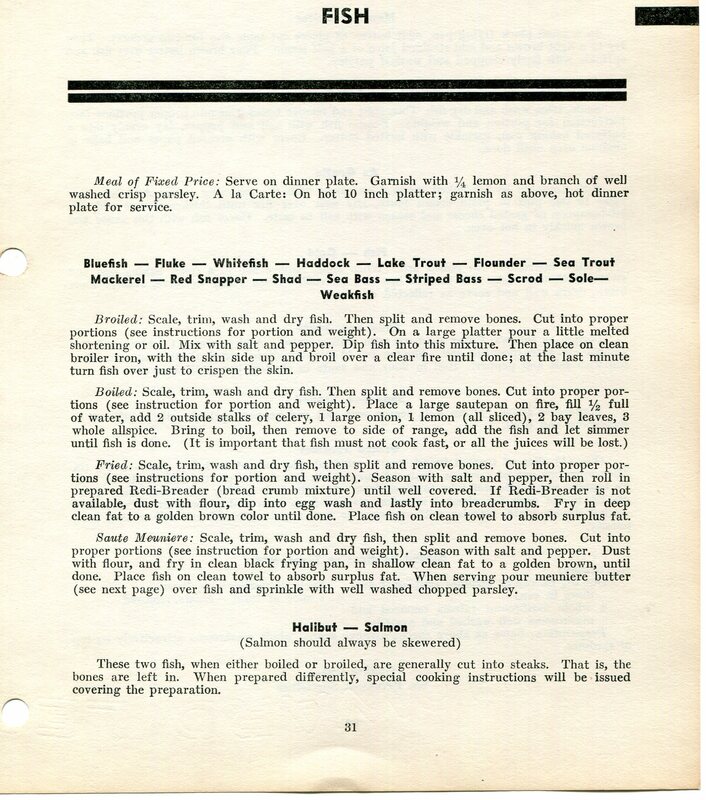 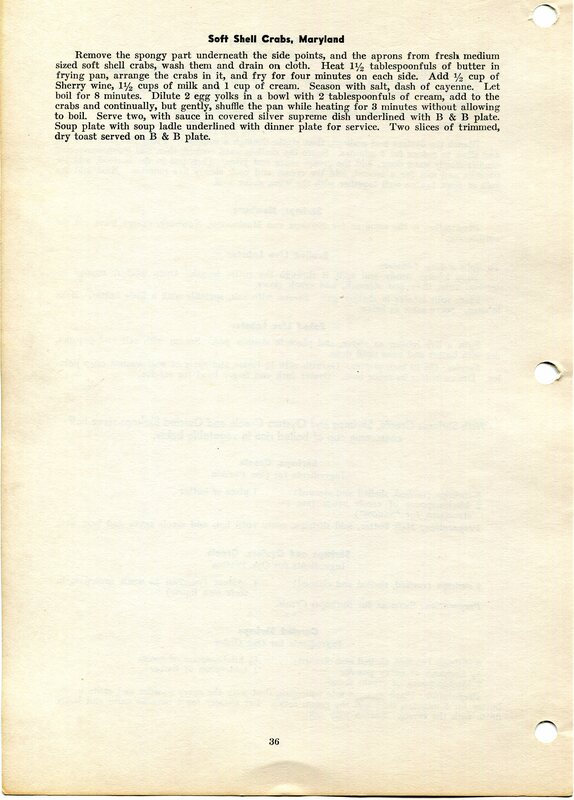 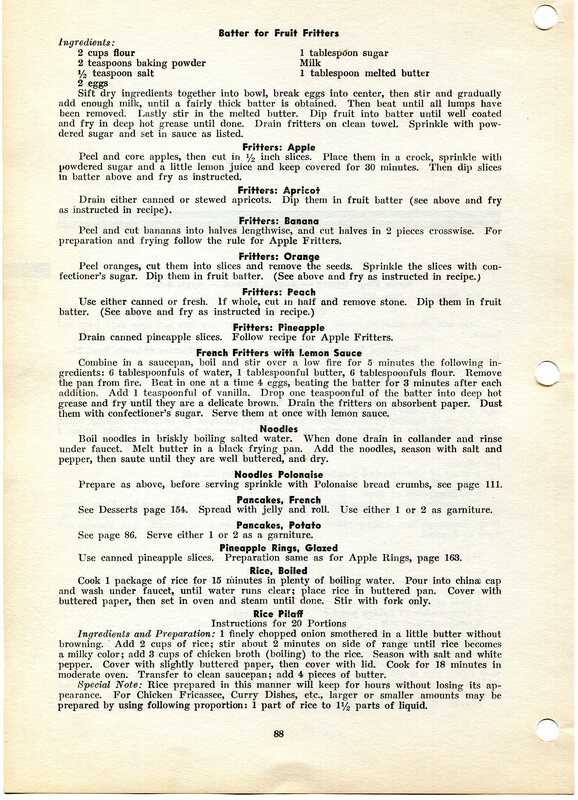 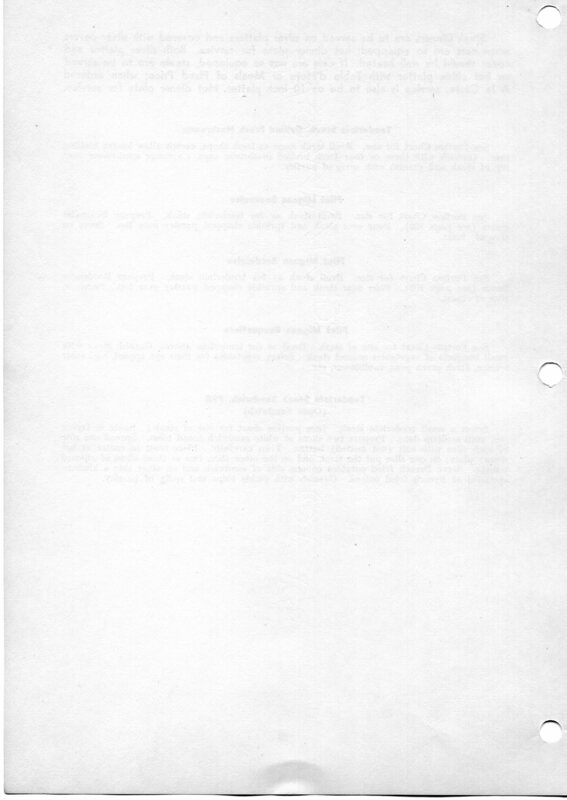 PART ONE : Pennsylvania Railroad Cooking & Service Instructionsfrom 1947. 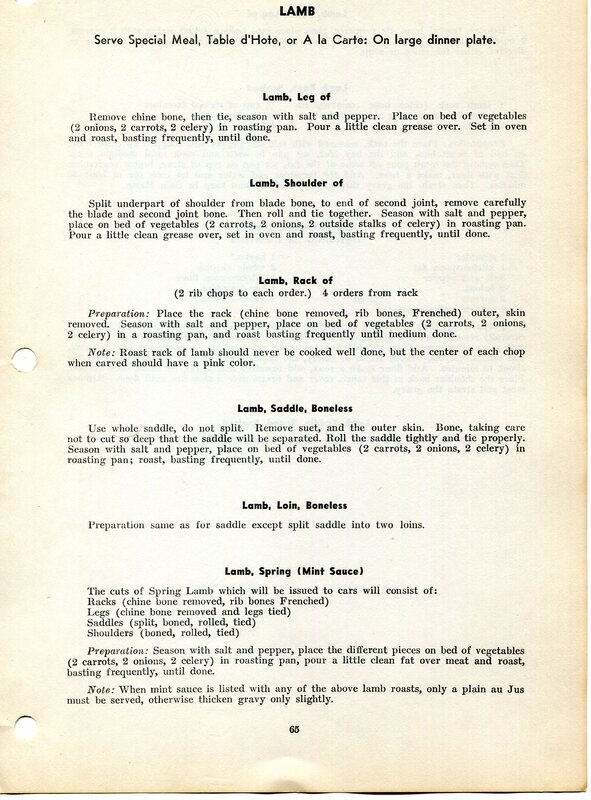 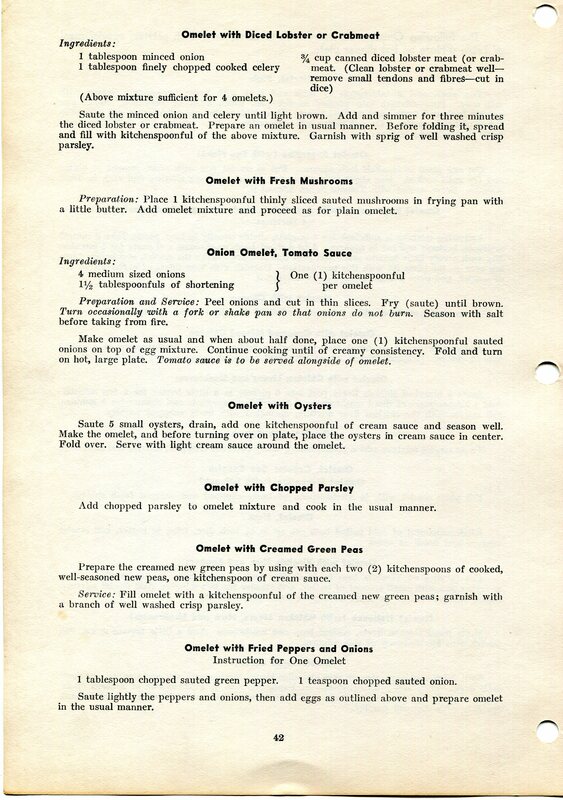 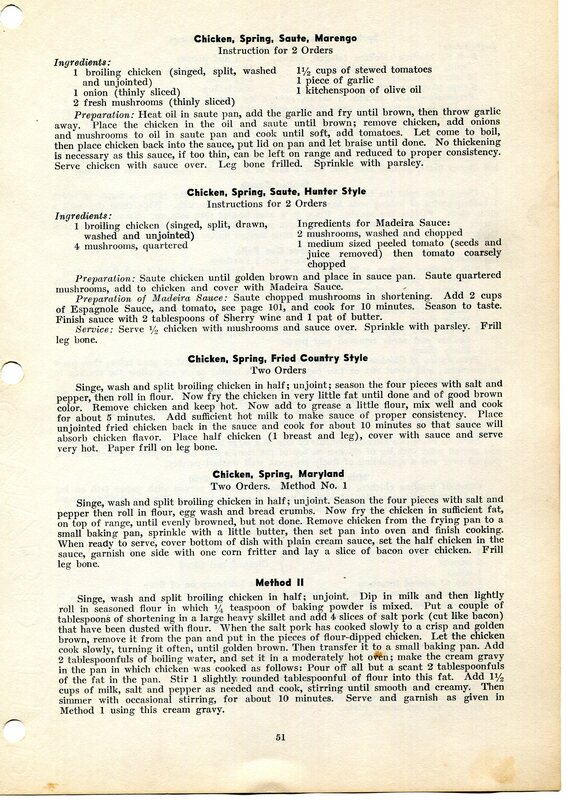 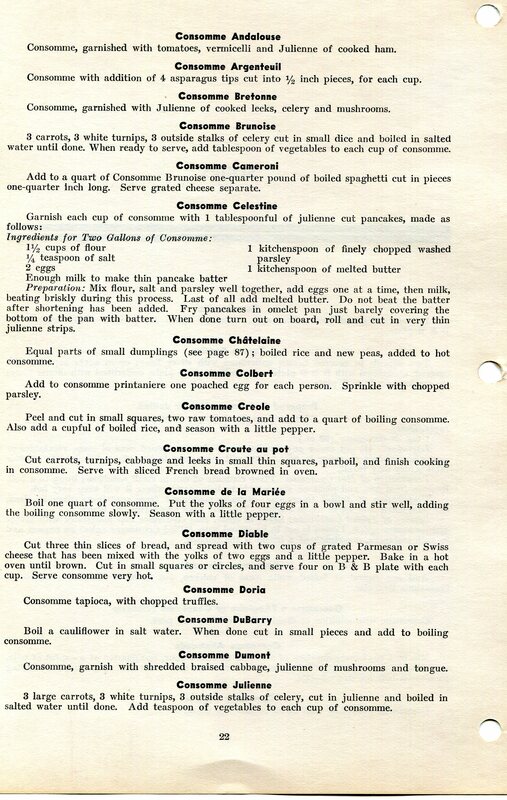 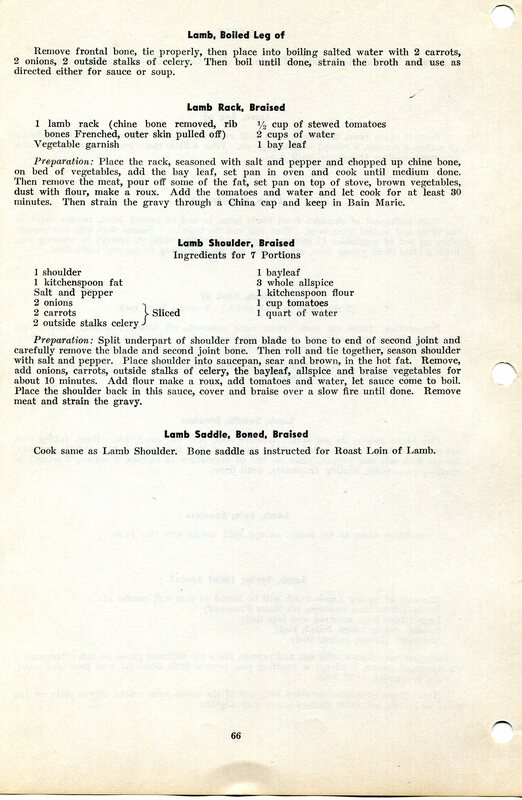 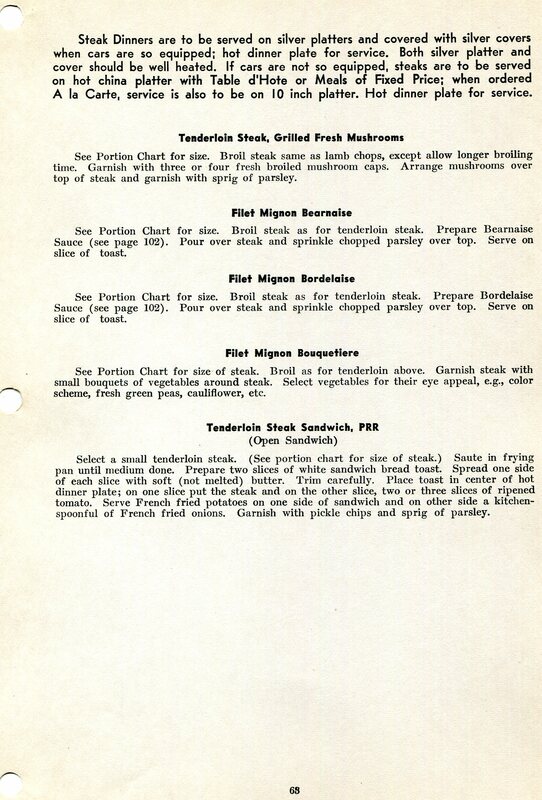 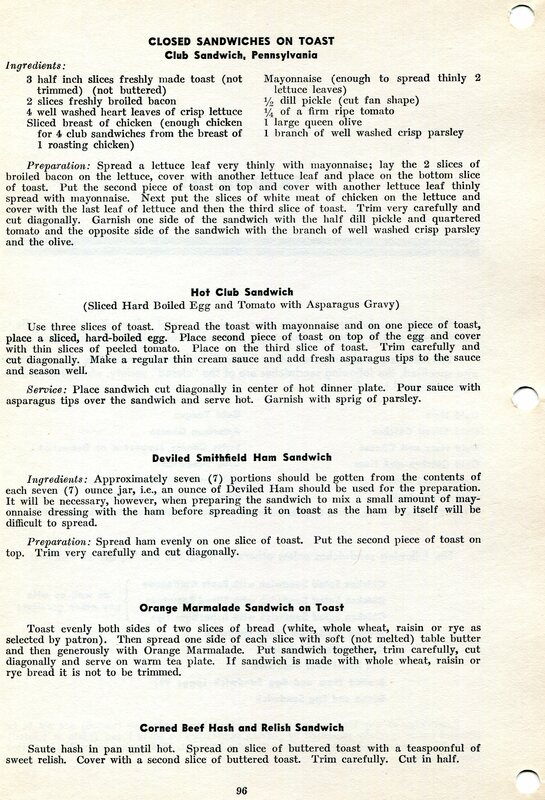 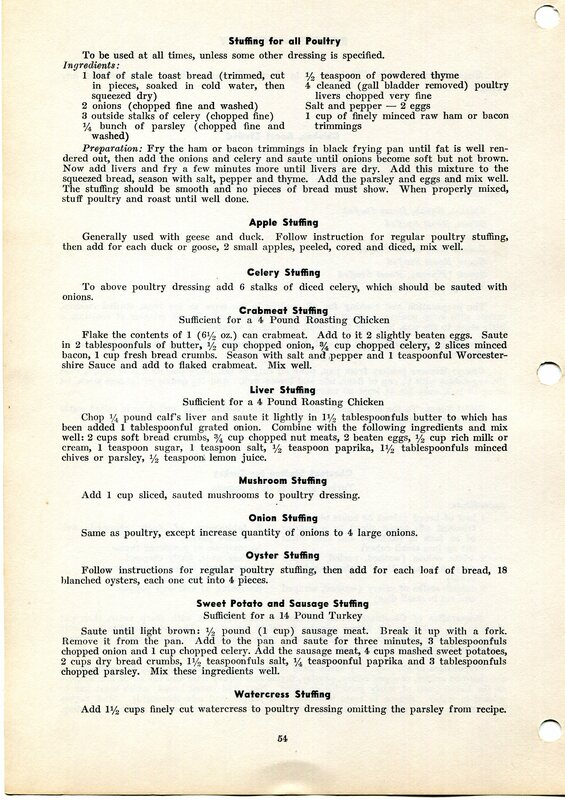 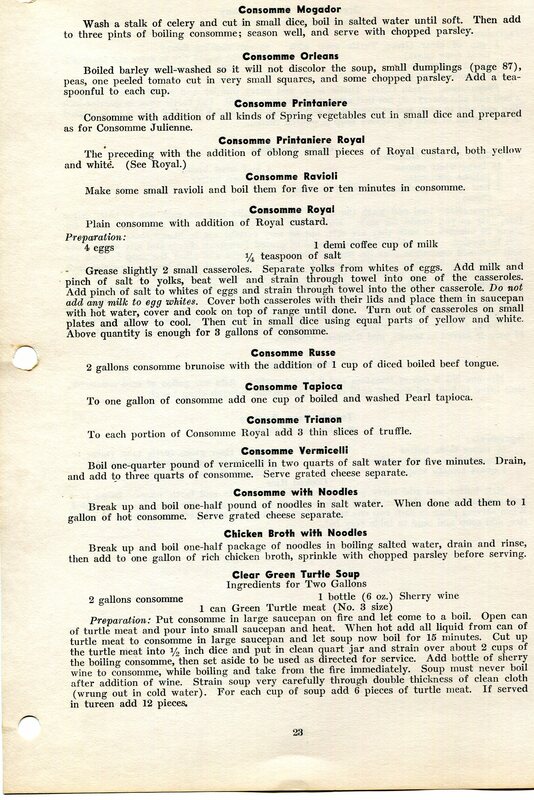 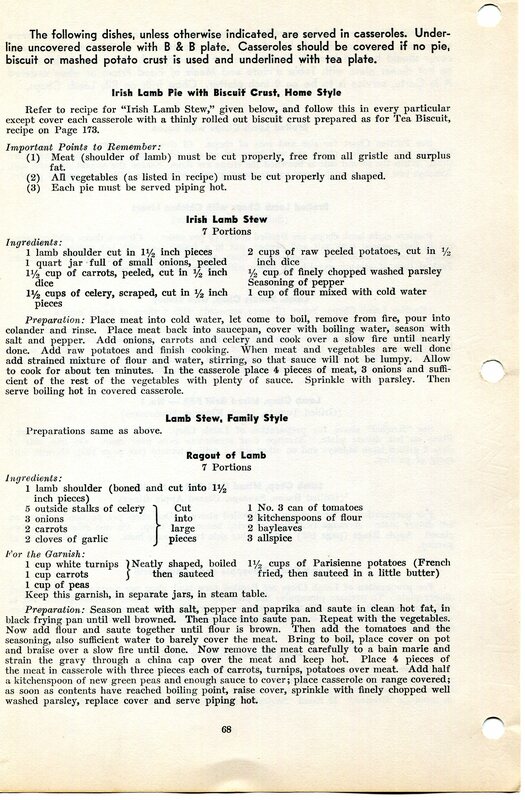 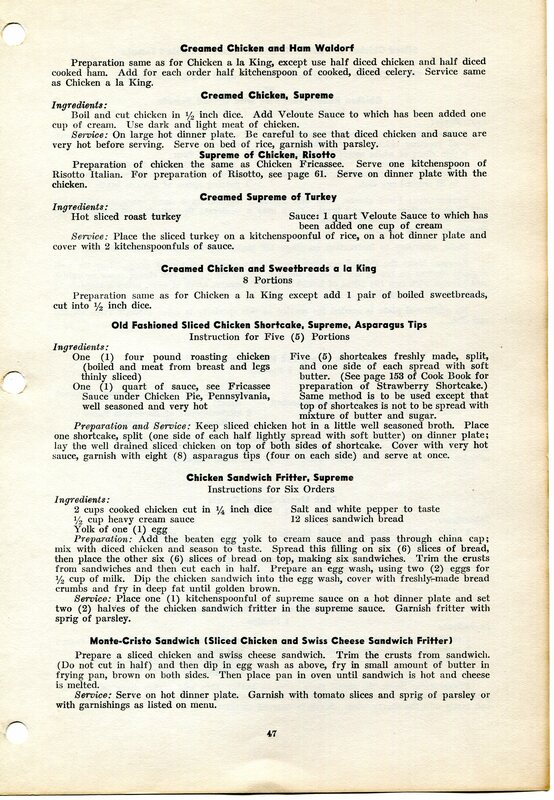 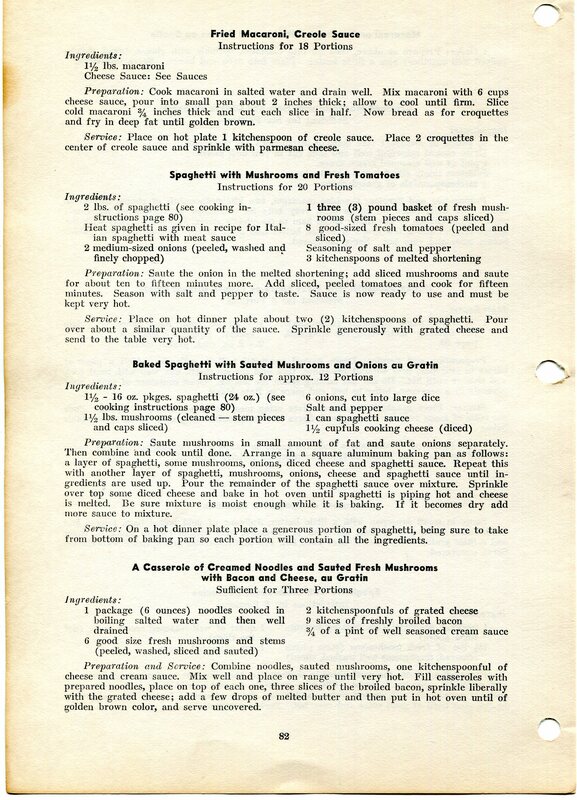 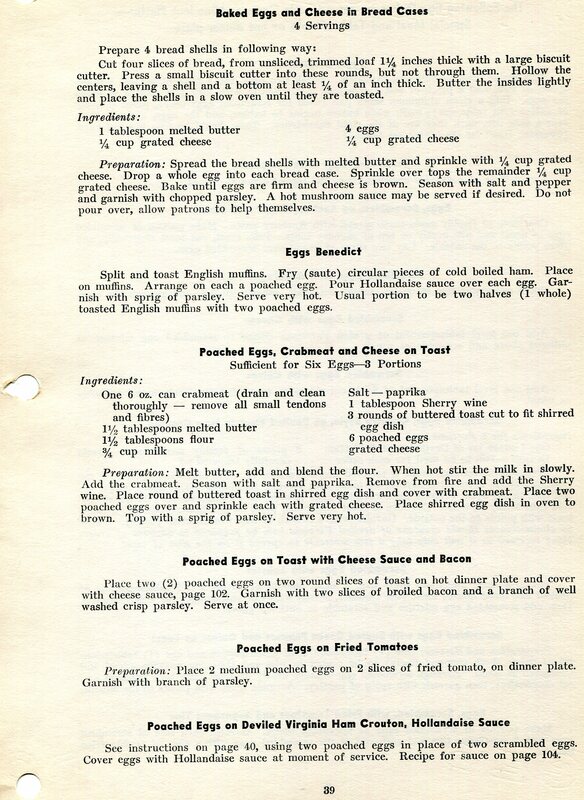 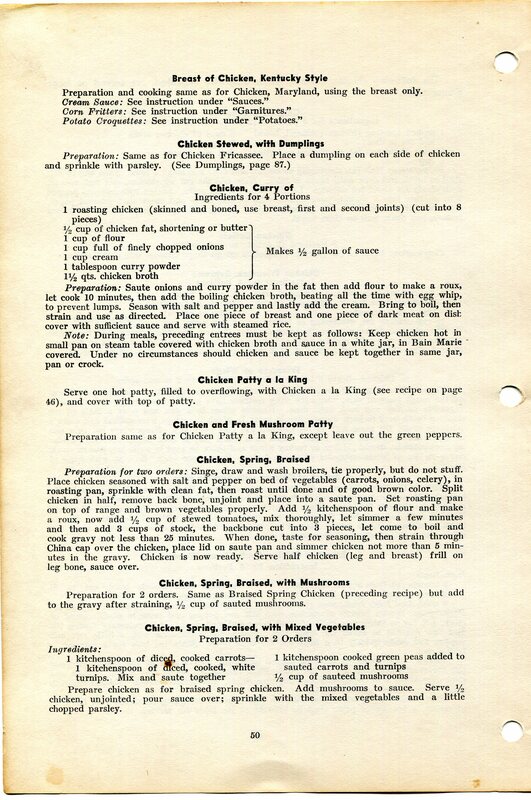 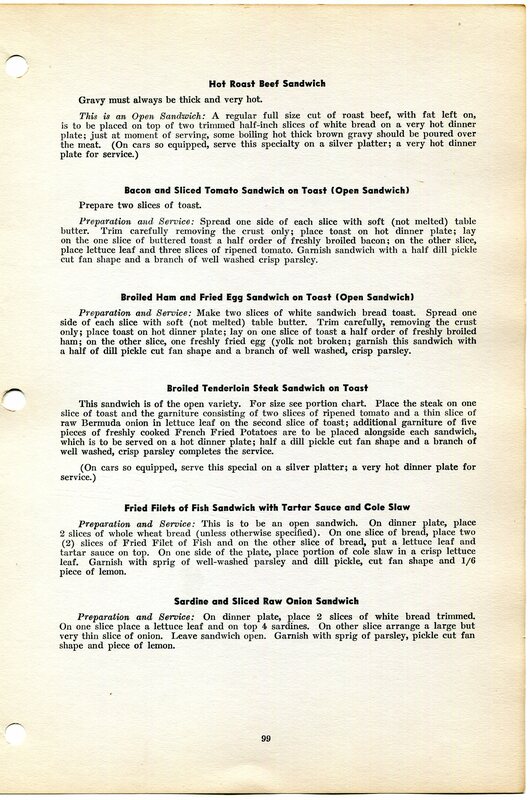 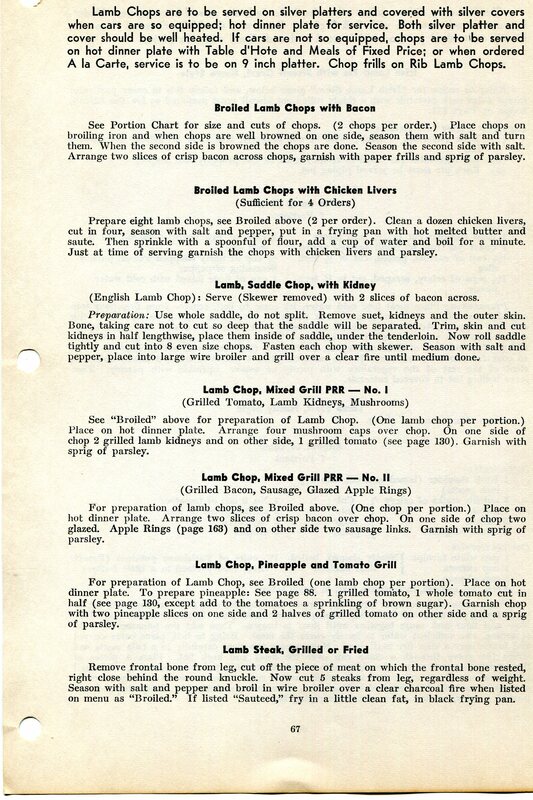 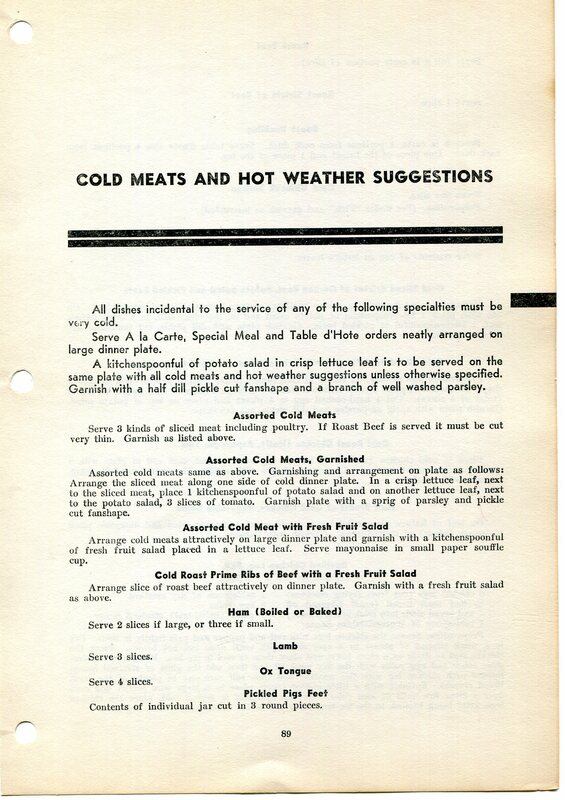 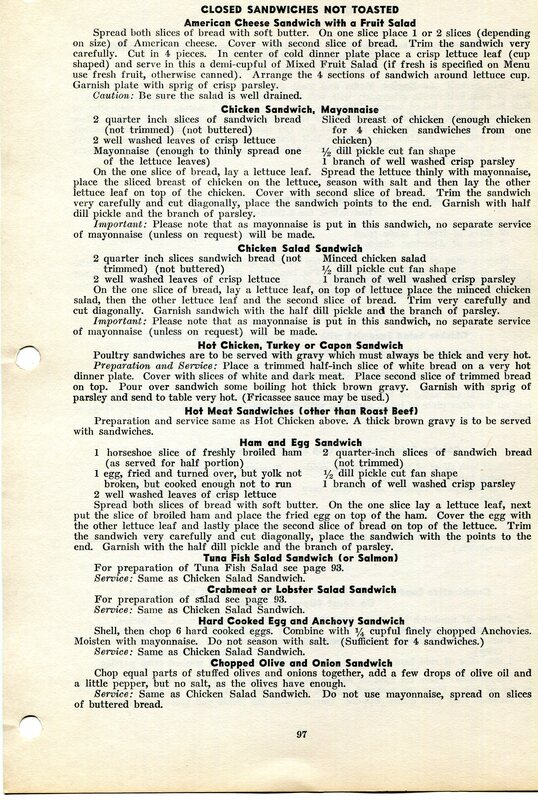 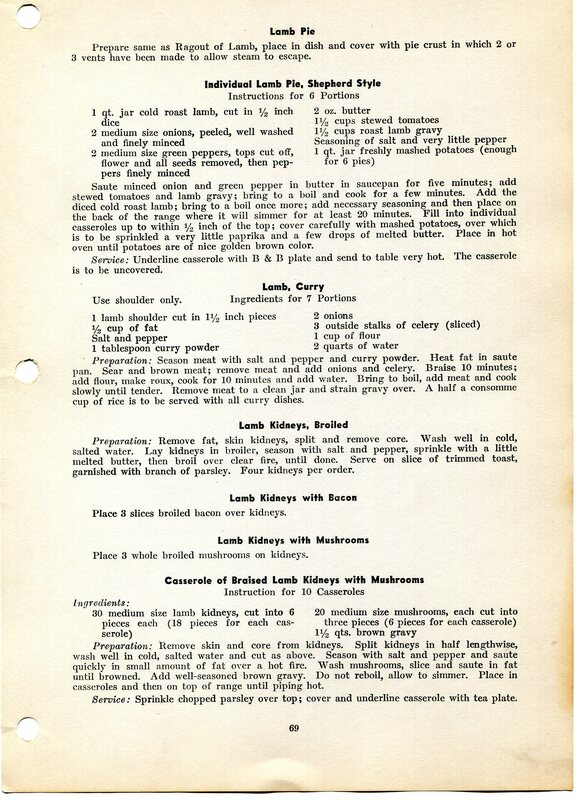 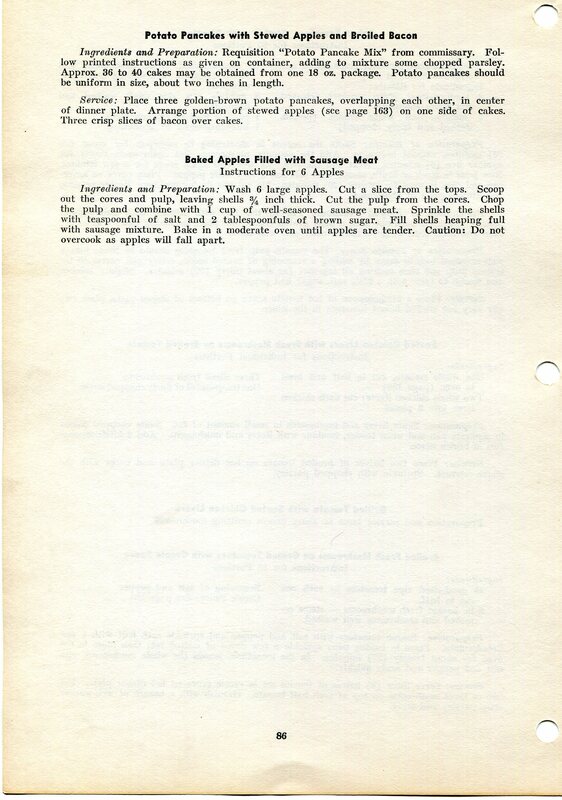 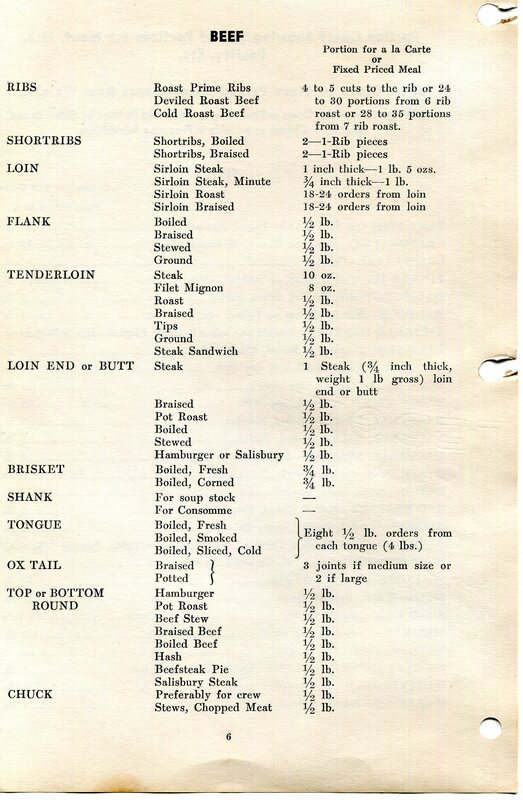 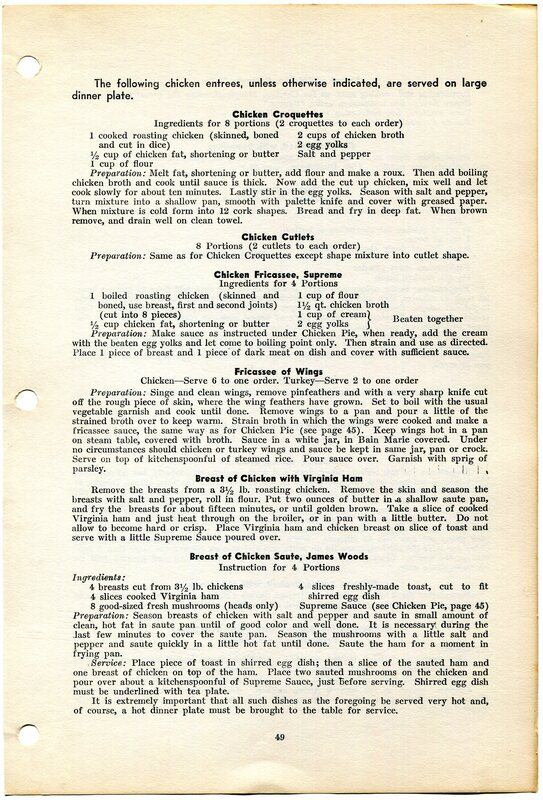 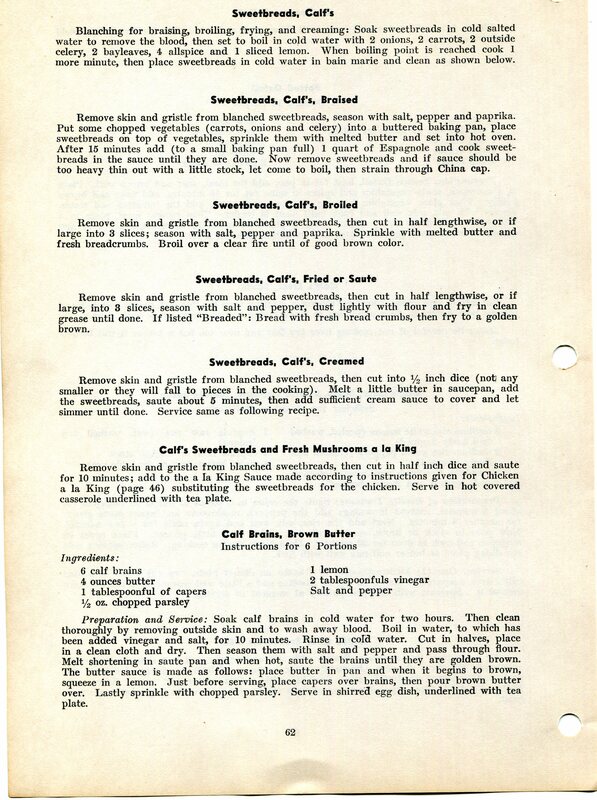 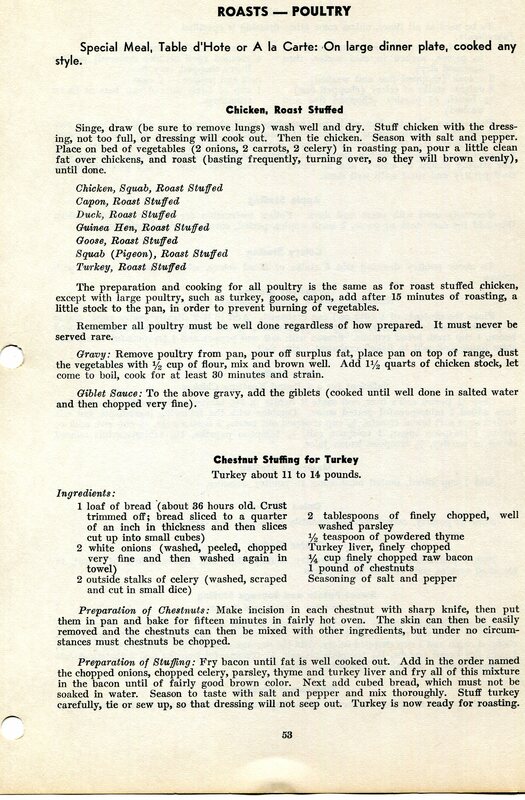 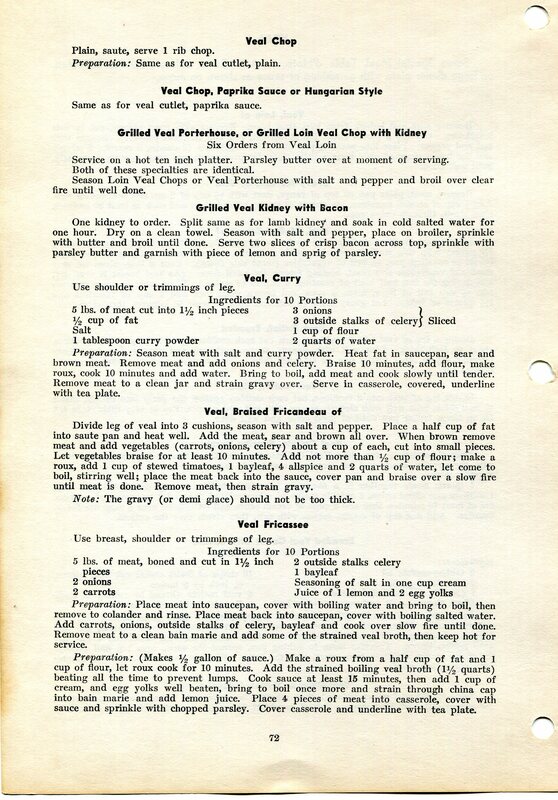 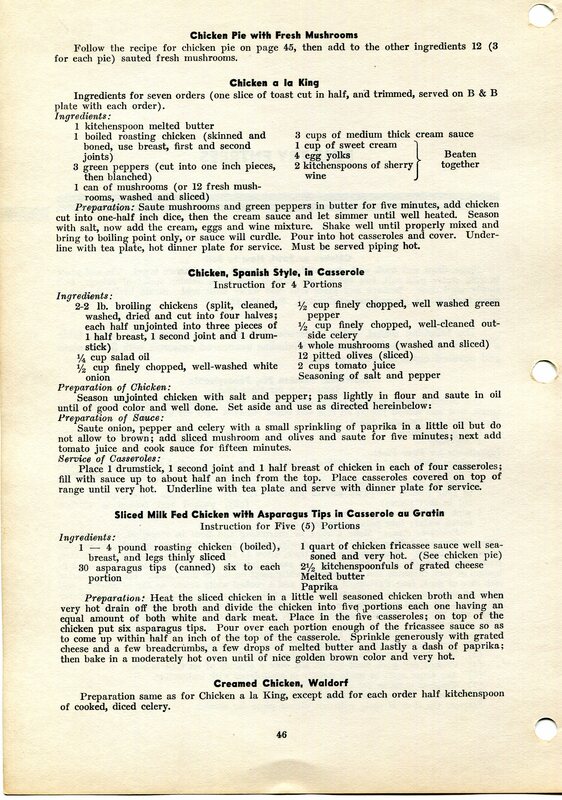 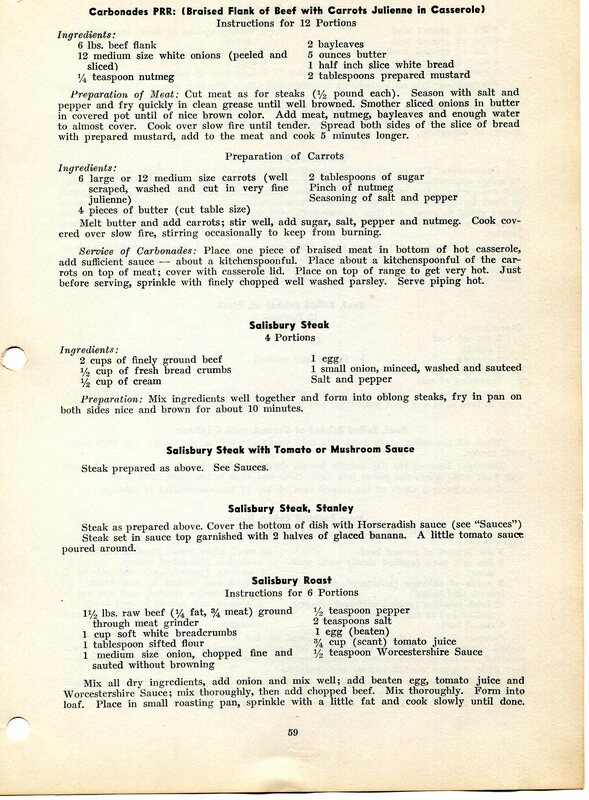 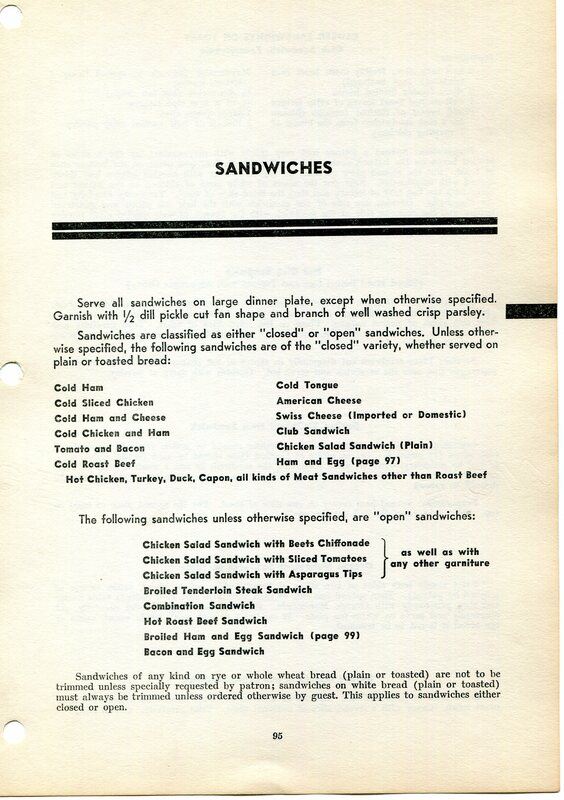 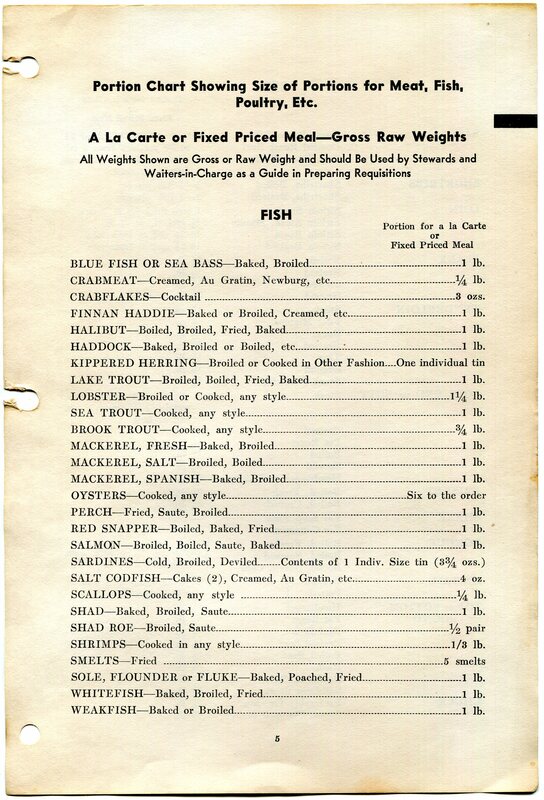 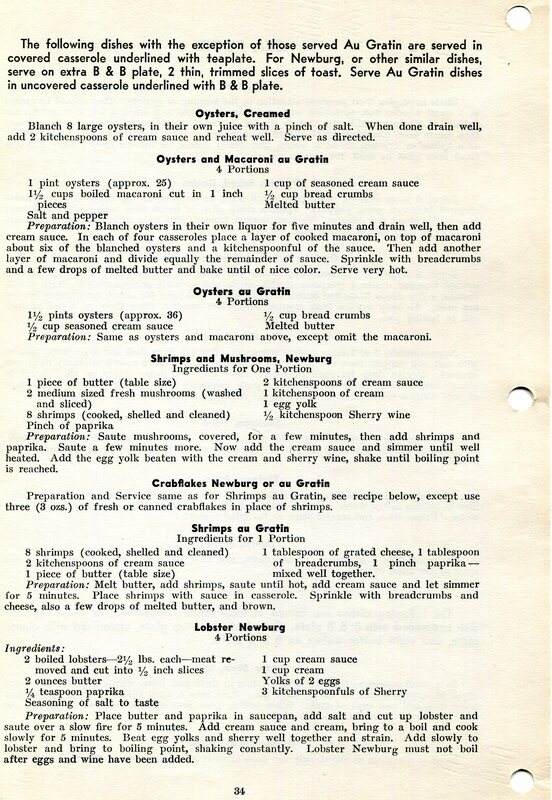 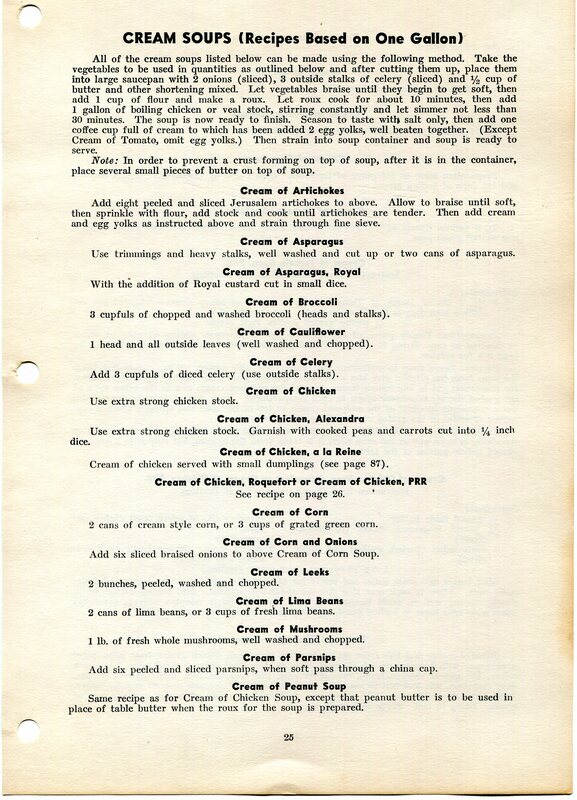 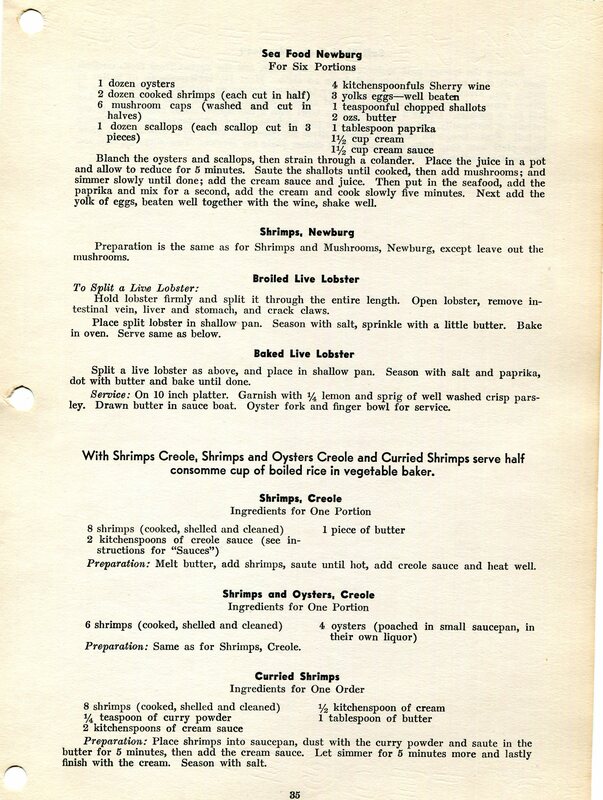 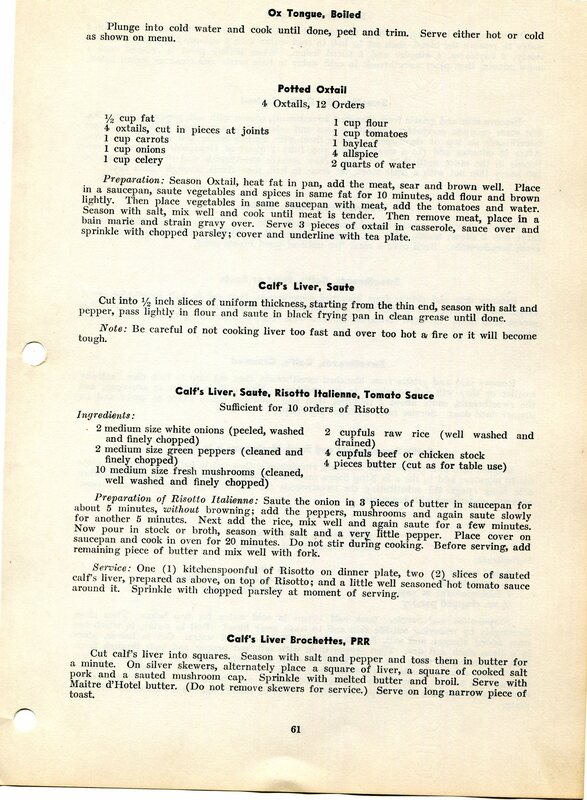 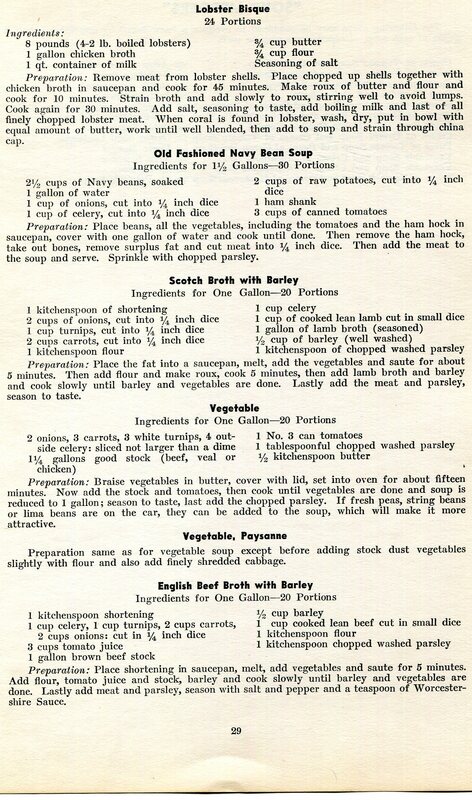 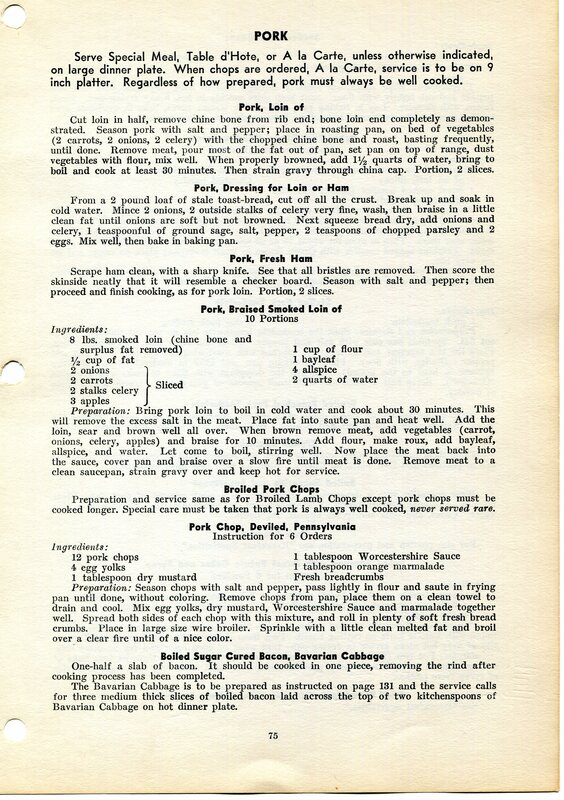 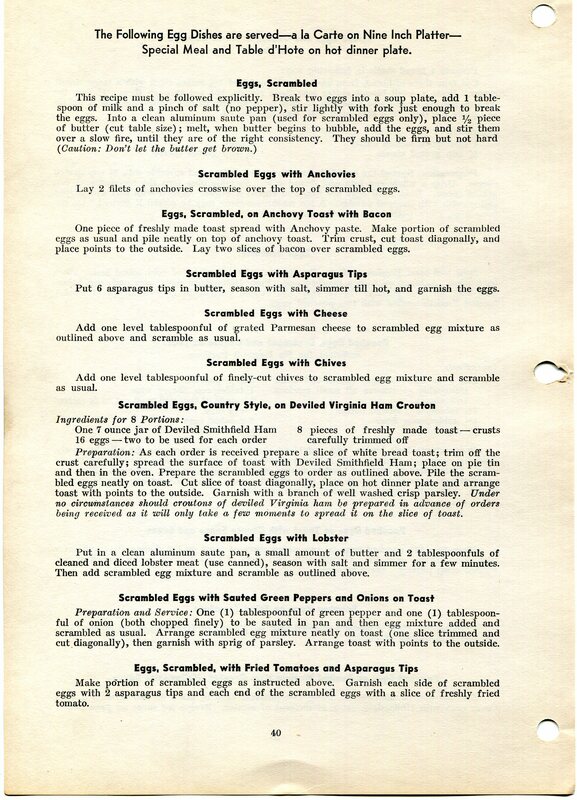 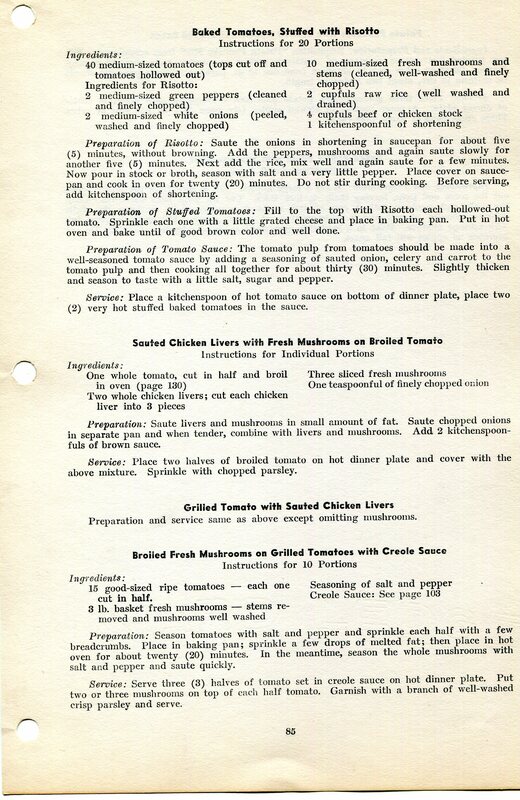 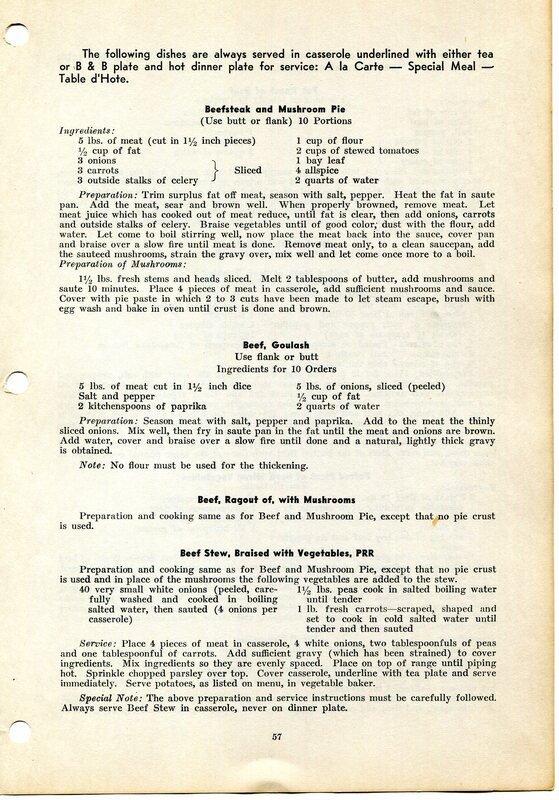 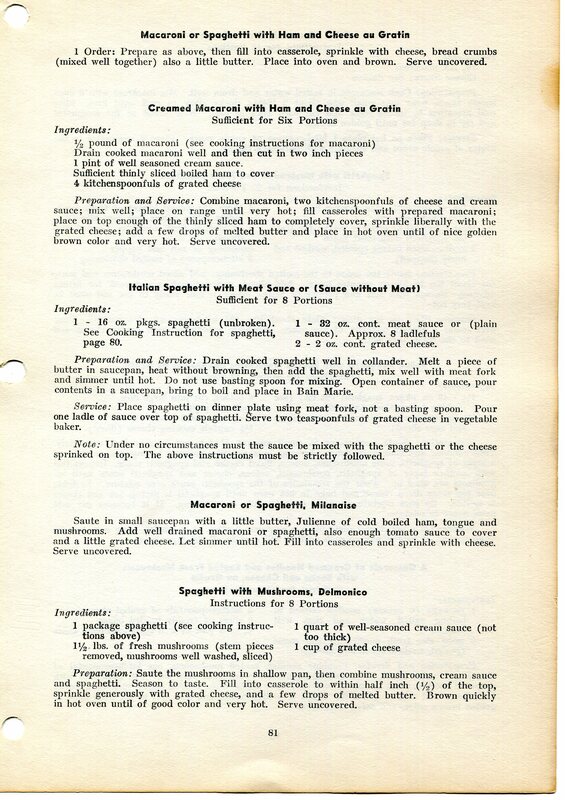 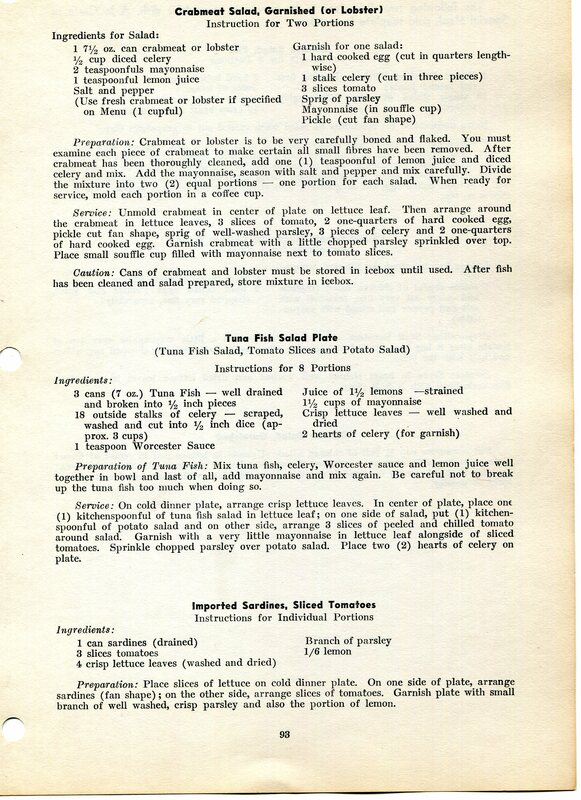 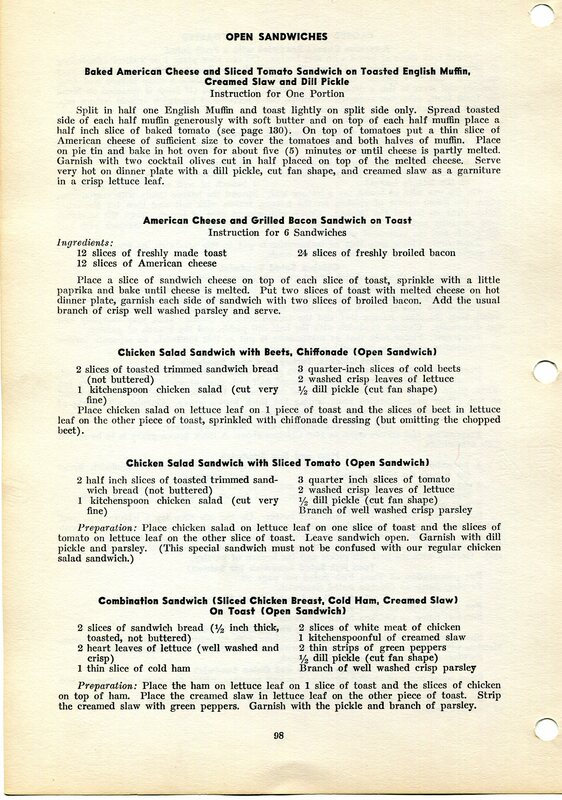 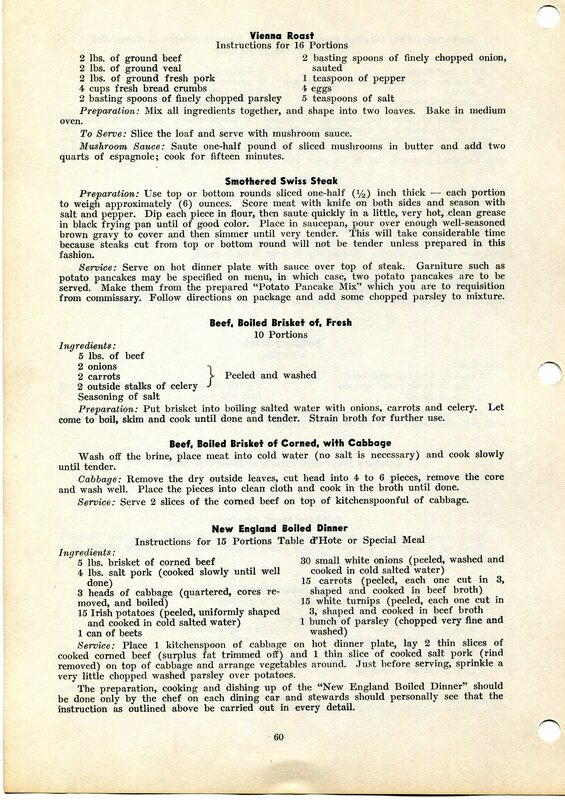 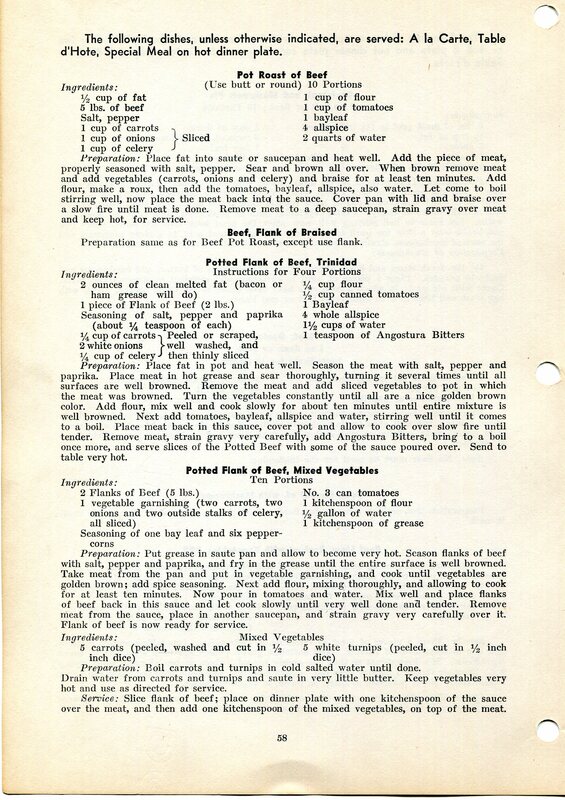 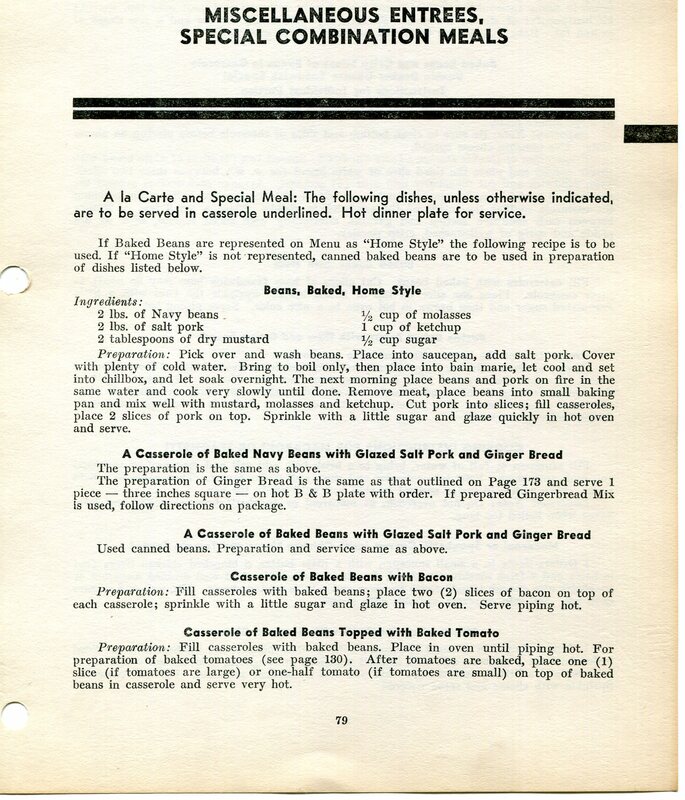 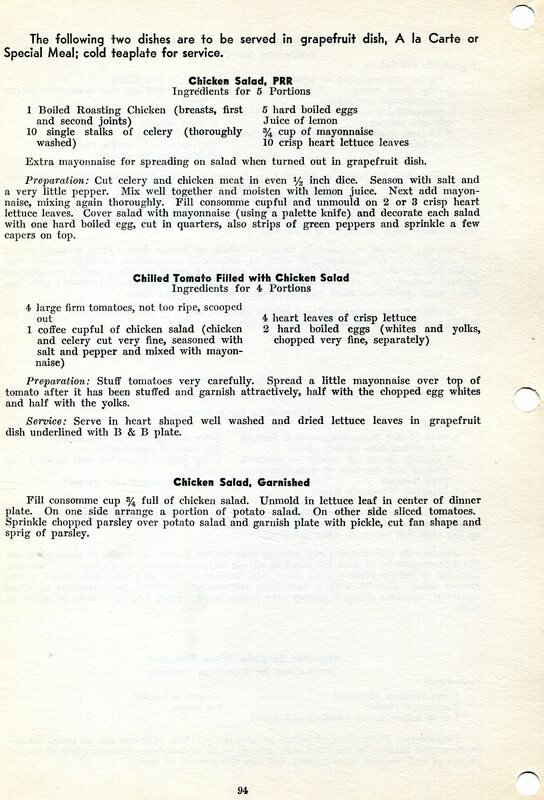 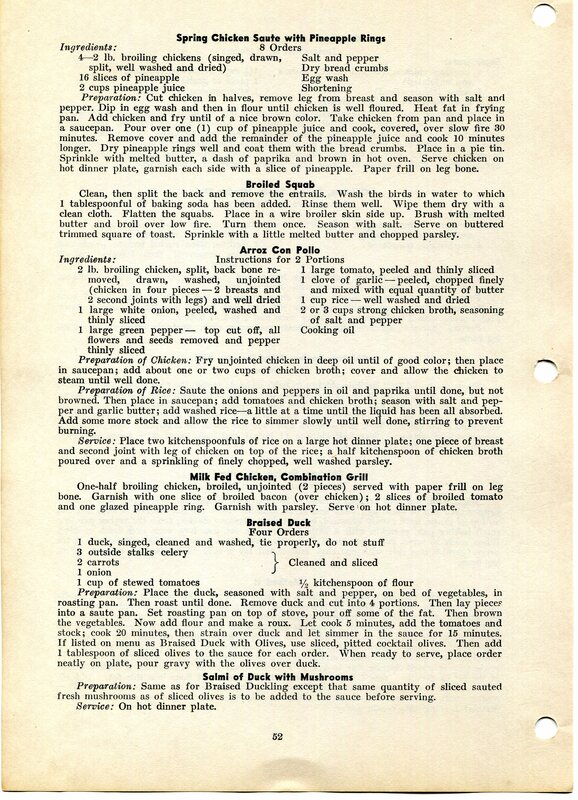 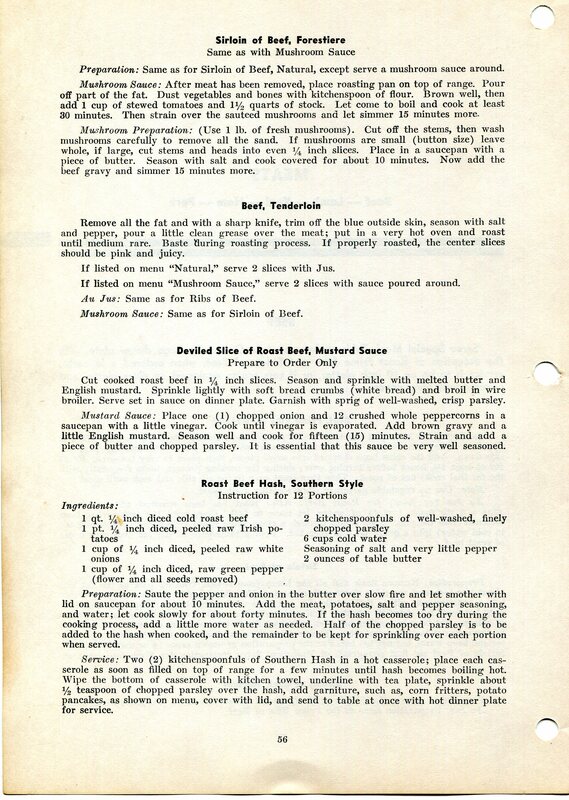 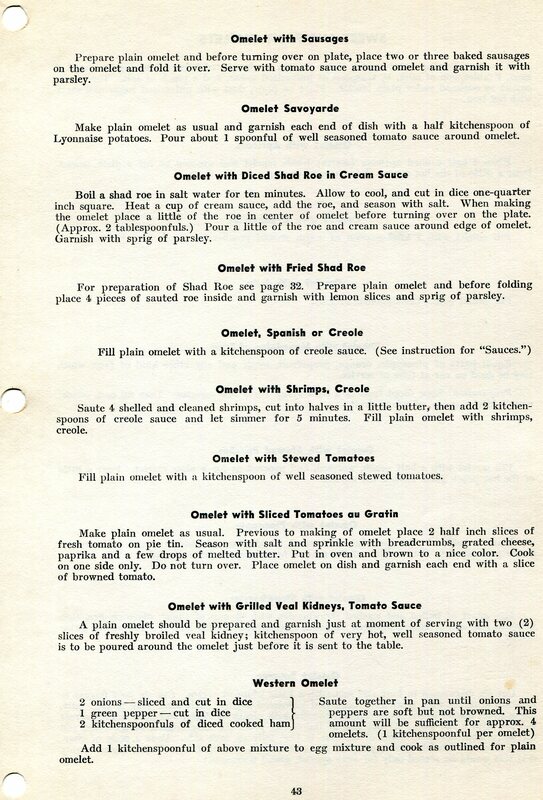 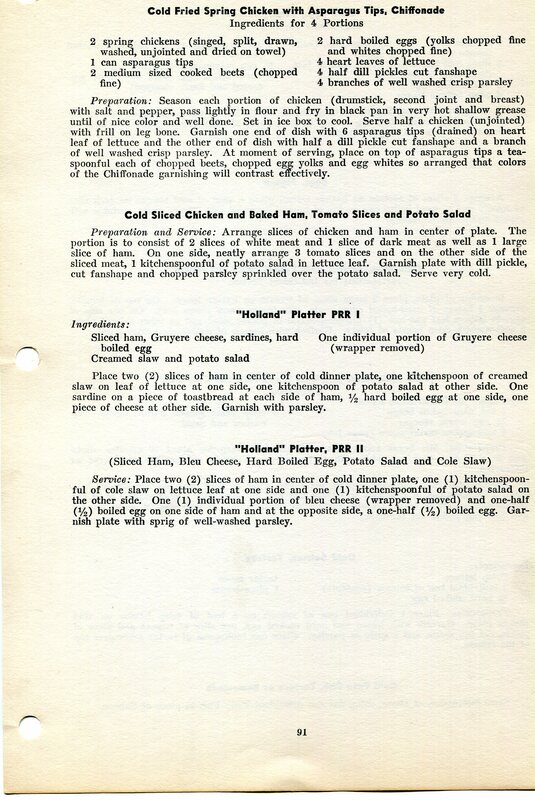 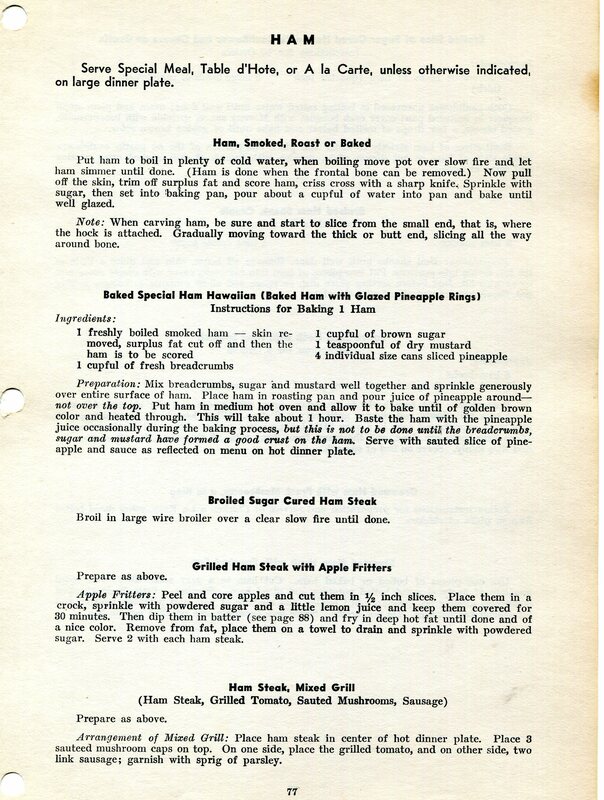 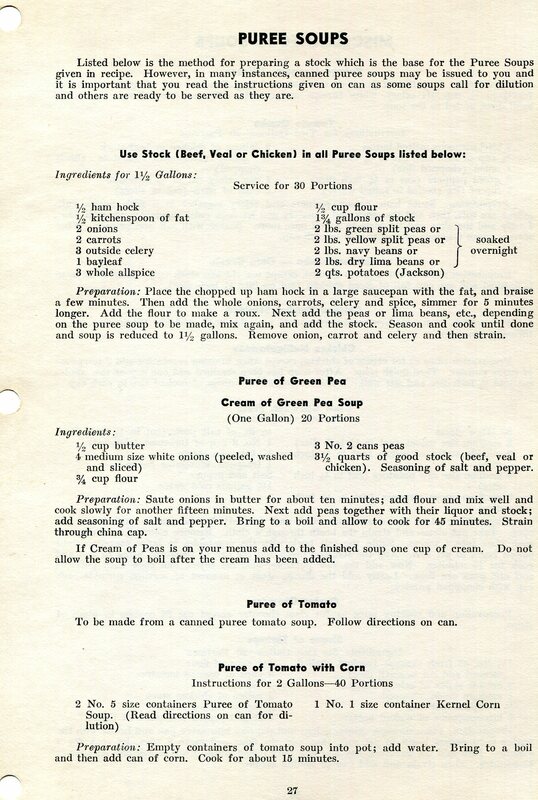 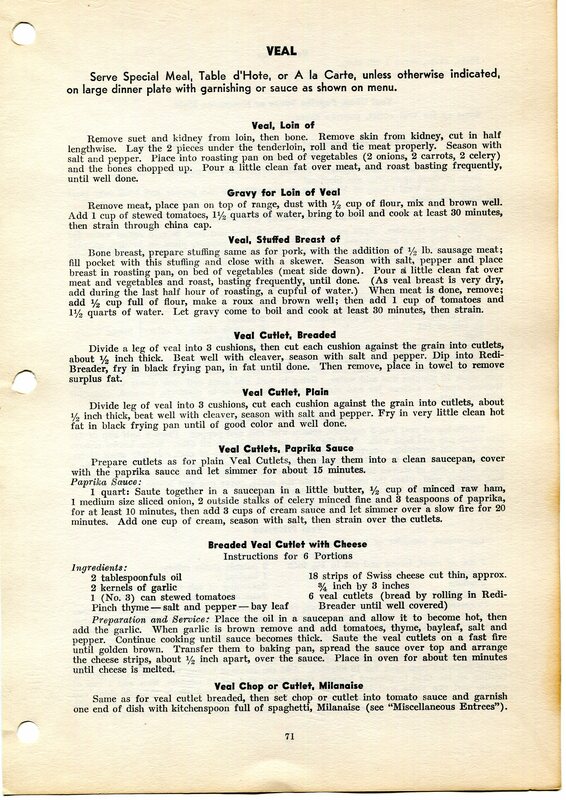 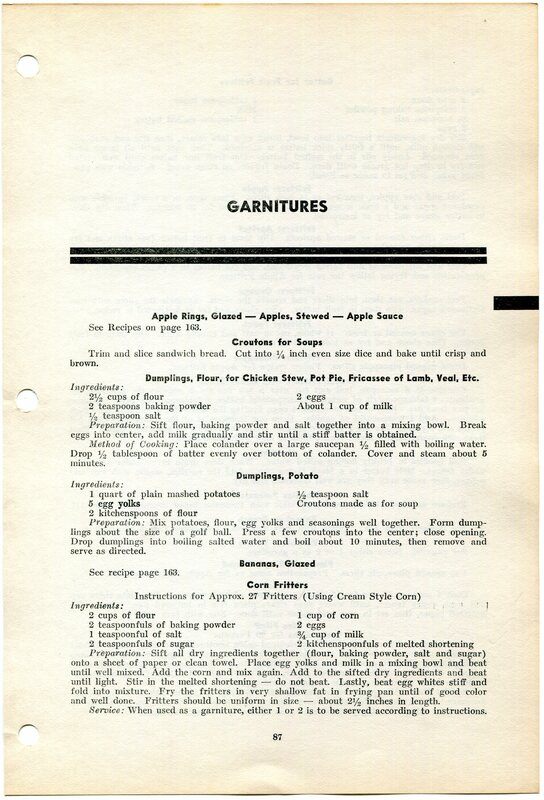 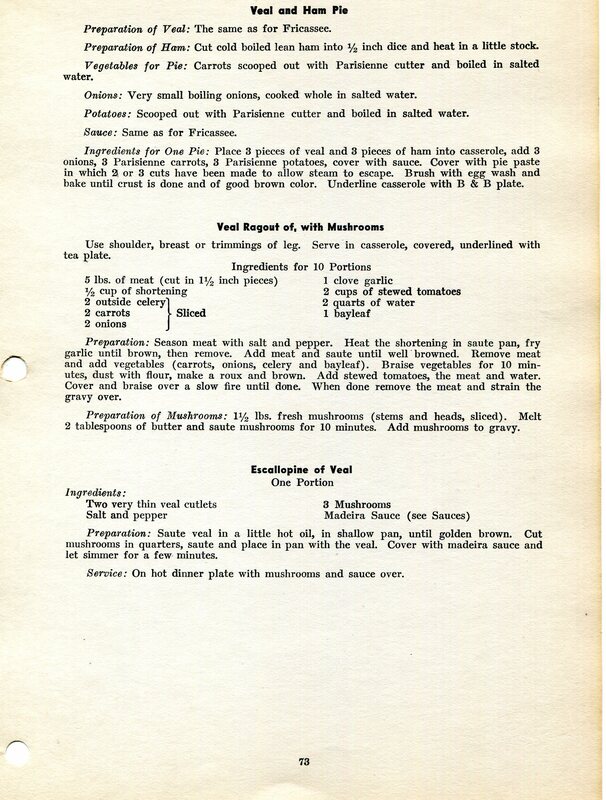 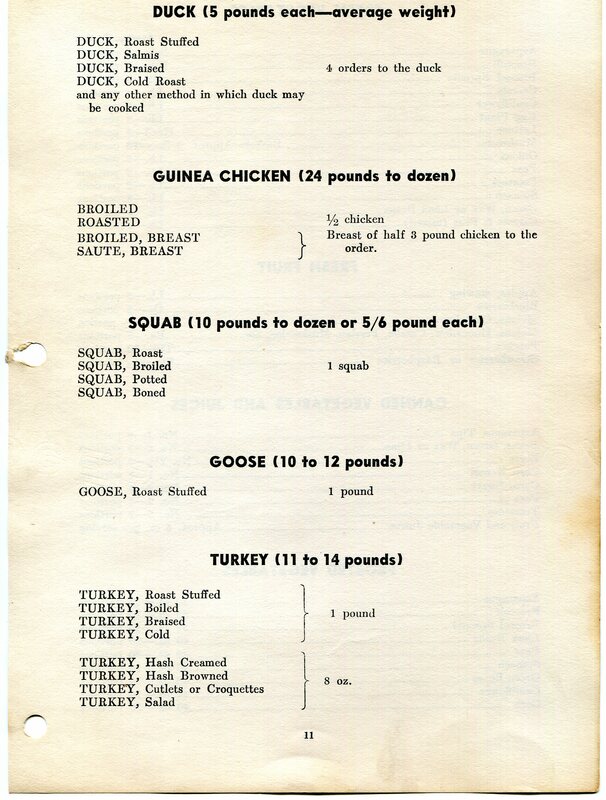 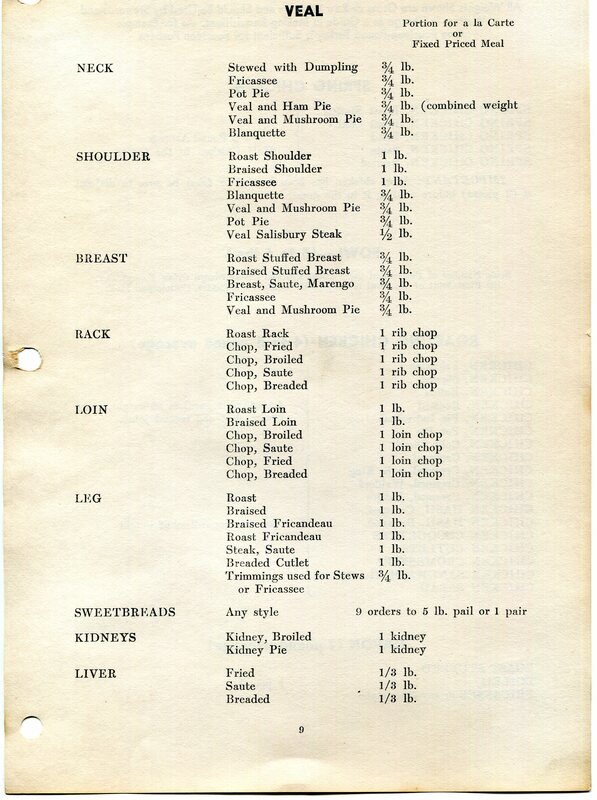 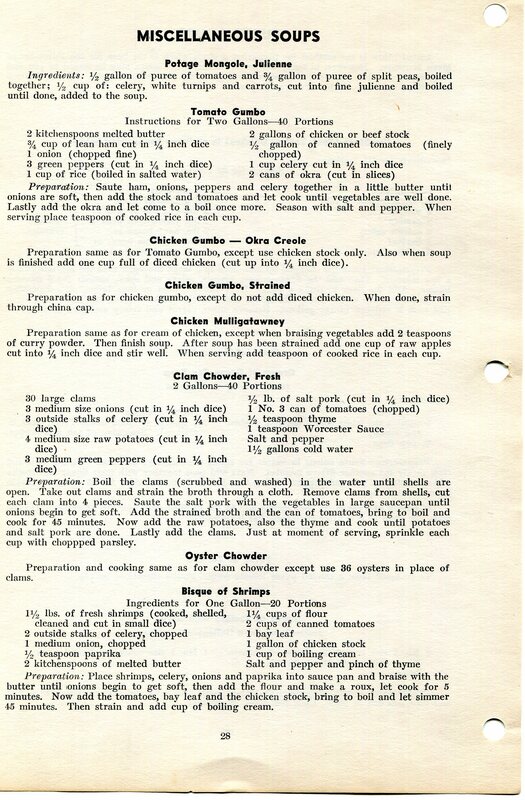 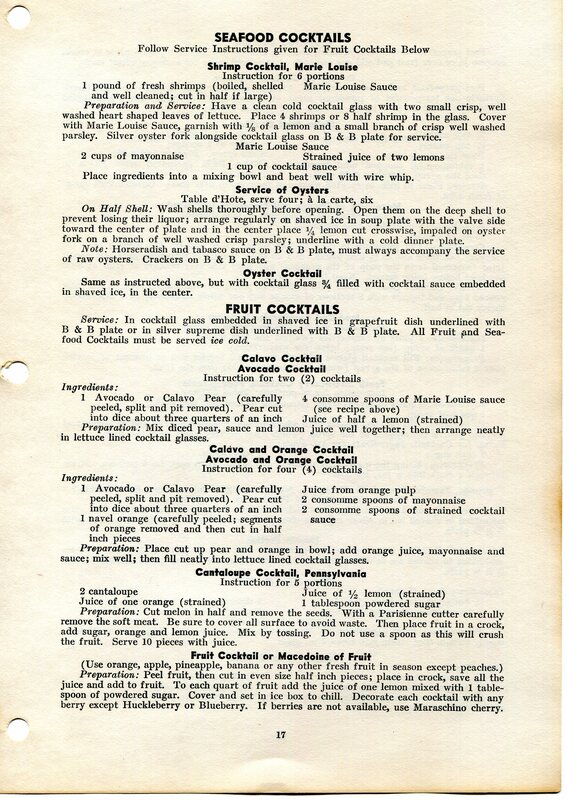 This document may have the best recipes and overall layout of all the documents in our site. 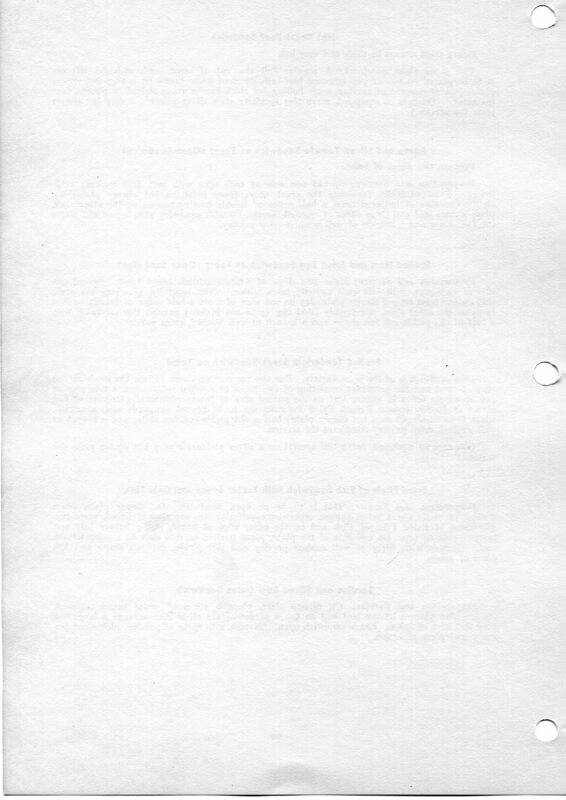 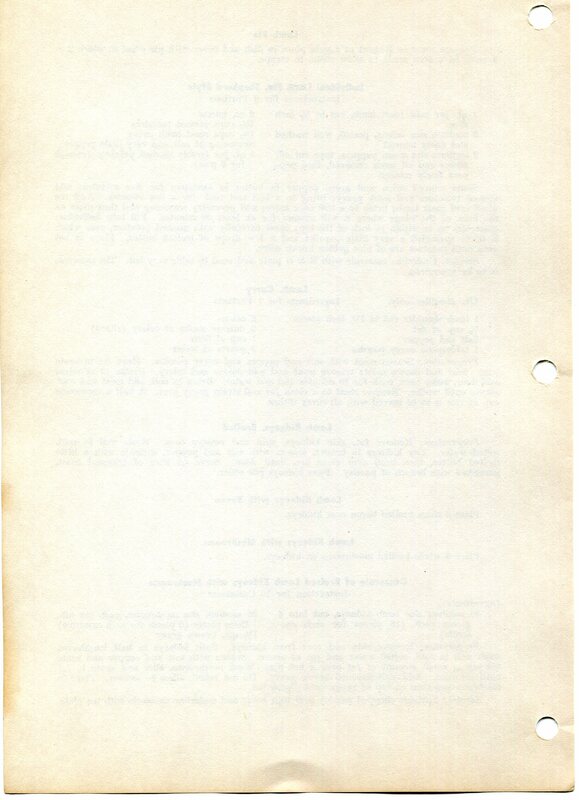 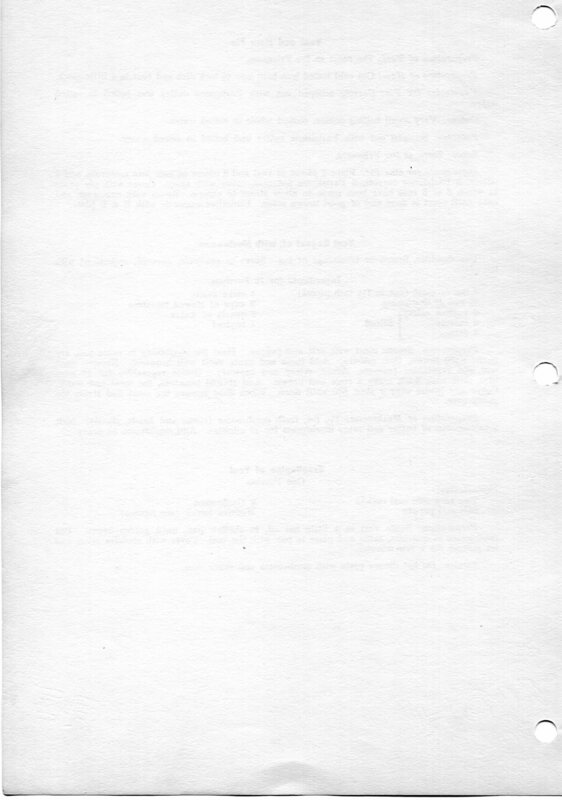 Because of the size of the document it is presented in two parts.